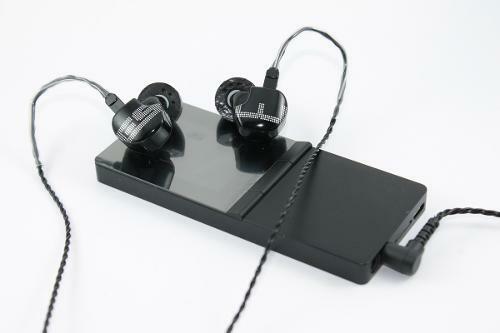 Earsonics ES3 Review – Cohesiveness! 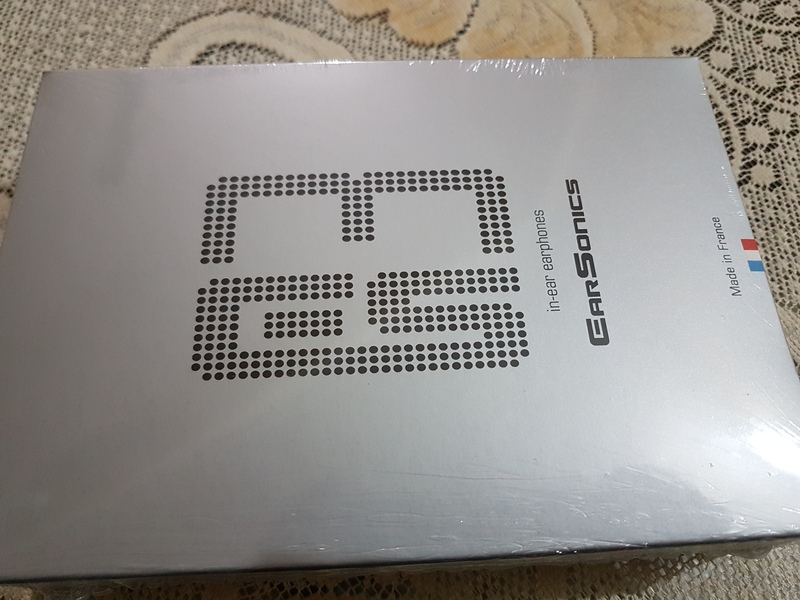 Earsonics don’t need any introduction but I still decided to get some information from their site, Earsonics has been one of the most renowned brand in the earphone industry. their house sound are known to be warm and thick with an overall smooth presentation. 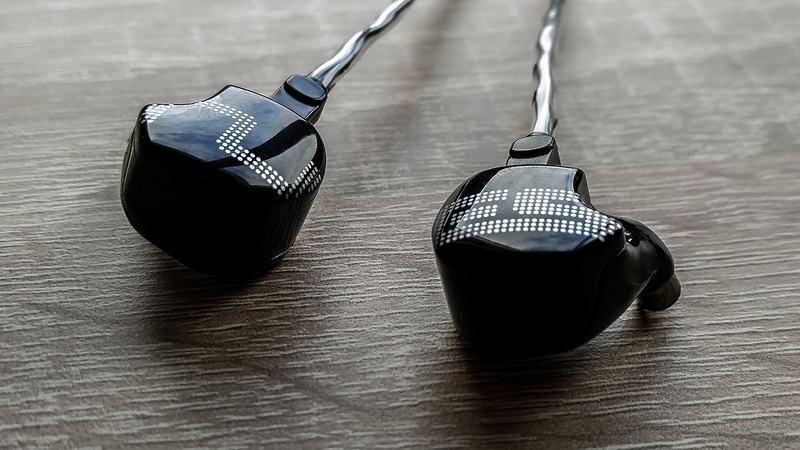 Driver: 3 drivers, 3-way crossover with impedance corrector. 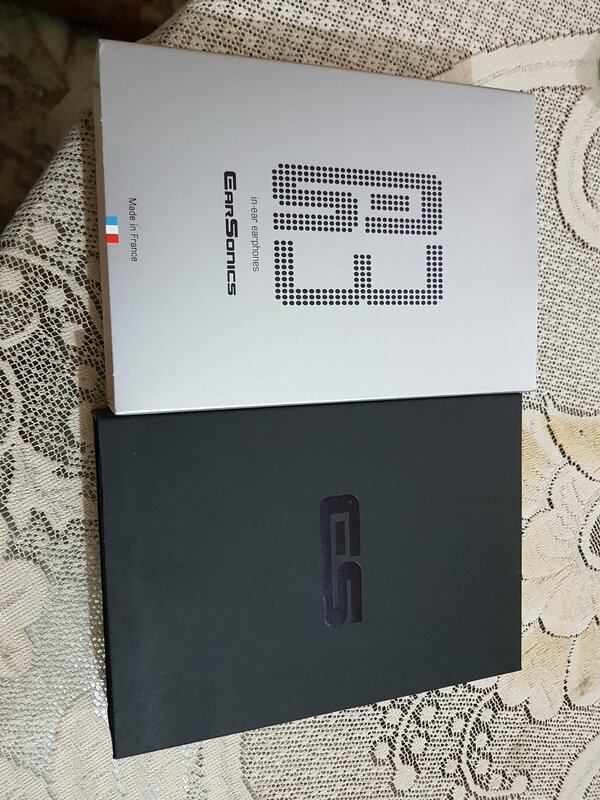 It comes with medium sized gray box, it is sleeve type and underneath the gray facade is a black box. Inside it are the IEM itself with medium black silicone tips and braided cable pre-installed, foam tips, a carrying case with several tips inside (includes double flange tips), cleaning tool, and 2 cards that are mostly written in French. The packaging feels premium and all but for me, adding a better cable, more tips and a hard carrying case would be better but that’s fine it is already a complete package in my opinion. 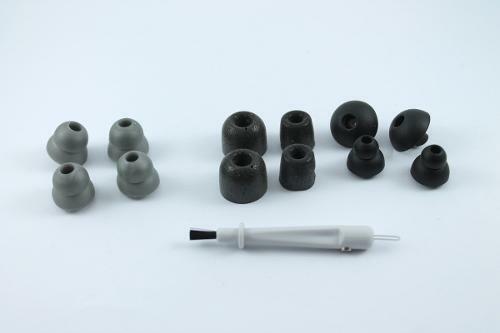 The nozzle is a bit short making the insertion to the ear a bit shallow, the isolation is average even after tip rolling, the diameter of the nozzle is a bit smaller too that is why it is a bit hard to use other tips. Nonetheless the comfort is good, the shell itself is light and wearing it is very comfortable and easy, but the ear guide is too stiff and sometimes it is hard to find the optimum position. I love IEMs with midcentric to flat sound signature as I really love listening to vocals rather than instruments. My genre ranges from heavy rock, alternative rock, pop rock, acoustic, pop, jazz and folk. Majority of my test tracks are in 16 bit – 44 khz and 24 bit – 48 khz FLAC file and here is the list of my commom test tracks. Sub bass has average extension and has really great quality, the ES3 adapts the house sound of Earsonics which is leaning to warm and thick. The rumbles and guitar riffs sounds really good, the texture is just top notch for pure BA IEM. The mid bass is slightly boosted, slams are very much enjoyable as it packs good punch in it, it is not that weighty but the impact, texture, and decay speed is perfectly balanced for me, the bass is just slightly forward compared to the mids and treble but the good thing is that it doesn’t overshadow them at all. Despite having good punch, it never sounded loose and slow, ES3 has really nice bass considering the 3 BA inside it. Lower mids is approached in a lush manner, it has good amount of body to give male vocals justice. It never sounded muddy, nasal, or veiled, the clarity is still great. The lower mids is not recessed nor forward, it is placed at the middle ground. For the upper mids, there are some audible dips but it is not a deal breaker for me, in the track raindrops, at the beginning, the vocals are placed a bit forward and at around 12 seconds there is a sudden recession. Talking about the quality, it is on the smooth side, the good thing here is that texture of vocals is still presented nicely. It never sounded nasal or sibilant, it sounds very balanced as it has really good amount of thickness but doesn’t make the upper mids sounds nasal. Treble is not emphasized here; it has good resolution and extends nicely. The overall presentation is far from being neither aggressive nor sharp, in fact it is airy and a bit relaxed. The treble of the ES3 gives a nice sense of height and depth, it is placed just a bit behind the lower mids, and it has still the sparkle to deliver cymbals nicely. The treble is made for long listening, it is not laid back but it will never pop out on your face, it has nice texture and quality but it may lack quantity, forwardness and sparkle from treble heads out there, but for me who’s opposite of it, the highs of ES3 is just perfect. The ES3 excels in this department, it sounds really cohesive. The sense of depth, width and height is very strong here in the ES3, the stage is amazingly huge for a pure BA IEM, there’s an airy feeling here even there’s no DD present. Layering and imaging is also one of the best that I’ve tried, as I close. My eyes listening alone in my room I can easily pin point the positions of the sound present in a track, from drum roll to second voices. The decay speed of the ES3 also helped a lot; it can easily cope up to pacey rock and metal songs. The ES3 has an above average resolution especially on the bass and lower mids, the upper mids and highs are still resolved nicely but not as good as the lower frequencies. 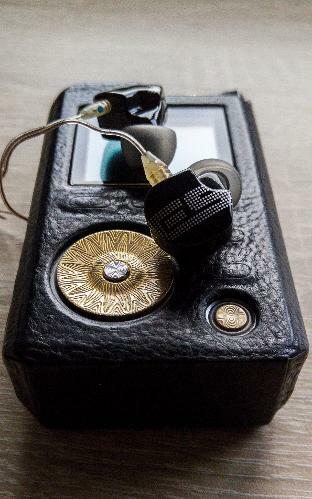 ES3 is a warm and smooth IEM, it has the lower end to lower mids warmth and the body is being shed to the upper mids making it fatigue and sibilant free, the treble is also well extended, resolving without being aggressive. I would love pairing this with neutral to bright sources as it would retain the punch and add some coldness in it. Aune M1s is a thick sounding neutral dap with nice black background on a budget. This guy increases the lushness of ES3 not to the extent of being muddy. Subs are well extended with a bit smooth texture, mid bass remains punchy. Lower mids is a bit too thick but is still enjoyable, upper mids remains the same with nice timbre. Treble became a bit more receseed, but retains the extension and resolution. The background is amazingly silent, staging is very good as the M1s unleashes the cohesiveness of the ES3. Average pairing for me, I want the body of ES3 to be lessened but the M1s increased it further nonetheless the technical prowess of this pair is nice. The sonata DAC is leaning to warm, the mid bass bump increased while still retaining the nice texture, the sub bass remains the same except that it is a bit more forward. Lower mids was slightly emphasized and gained more thickness; the upper mids is still the same, the treble sounded a bit rolled off and smooth. The staging is just fine, not as wide as with the M1s or n5iis, background is fairly dark as well. Cayin N5iis is a neutral-slightly bright and transparent sounding DAP, mids sounds lean, bass is flat and does not have any coloration, and treble is a bit more prominent than the bass. I simply love the synergy of this pair, the sub bass is still well extended with nicer details retrieval and texture, the emphasis on mid bass became less and the texture also better. Lower mids became a bit leaner and was able to have better transparency same goes to upper mids, it also became a bit more forward. The treble is well extended, better resolution and slightly more forward still, without sounding shrill. This pair has one of the blackest background that I’ve tried on SE, sound stage is huge with better layering and imaging. The Huawei Mate 10 is has a sound signature of neutral-bright, sound quality is not on par with the N5iis or M1s, noise floor is a bit high. The bass became a bit rolled off and less textured; the mid bass became smoother and less impactful. The lower mids is not that affected with still having that thick presentation, upper mids became a bit leaner. The treble was not extended further but was placed a bit more forward and the quantity slightly improved while still being relaxed. Sound stage is not that huge but it still sounded pretty cohesive. This two is a nice pairing, as the mate 10 slightly boosts the upper mids to treble of the ES3. Both of this IEMs are leaning to warm, the ES3 extends a bit deeper, the sub bass of ES3 packs a bit more texture than the bravado. The mid bass of these IEMs almost have the same amount of texture; the bass of ES3 is more forward and packs more punch in comparison to Bravado’s tighter and faster mid bass. 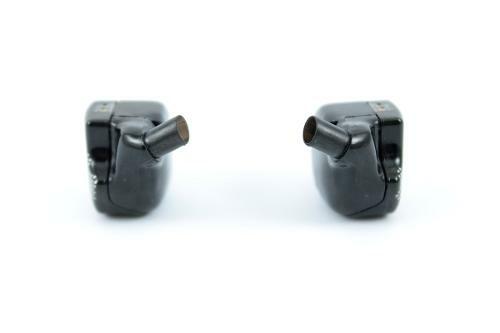 The lower mids of these two IEMs still share the same characteristics; both are neither recessed nor forward and have velvet like lushness. The texture of the lower mids now goes to the Bravado, but the delivery of ES3 is a bit cleaner. The upper mids of bravado is leaner and packs more sweetness than the ES3, the upper mids of ES3 is presented in a smooth manner and is less fatiguing than the Bravado’s. For the treble, both are not emphasized, the treble of bravado is more linear and a bit more forward on the other hand, ES3’s is more extended, better details and has faster decay. The ES3 is better has better sound stage in terms of height, it is also better in imaging. 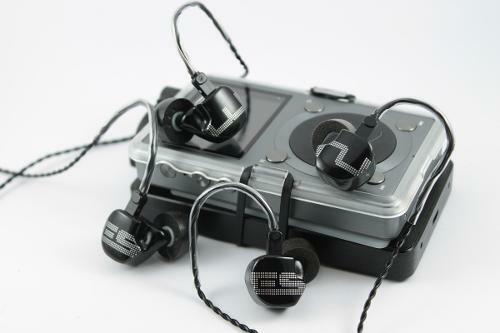 ES3 sounded lean when compared to the HS1551 CU. The bass of these two IEMs are equally well extended but the sub bass of HS1551 has more texture and quantity. The mid bass is a bit smoother on the HS1551 as the ES3 delivers more texture and is also tighter, the quantity and impact goes to HS1551. The lower mids of ES3 is more transparent, forward and textured as the HS1551 is meatier and a bit more recessed. The same thing can be observed on the upper mids, the ES3 is leaner and packs more clarity as the HS1551 still have the warmth up to the upper mids. The HS1551’s treble is a bit rolled off in comparison to the well extended and controlled treble of ES3, the sparkle and resolution also goes to ES3 while the smoothness goes to HS1551. The stage of HS1551 is fairly wide but the ES3 is simply wider, has more sense of height and depth, imaging is also slightly better in the ES3. The sage sounds leaner in comparison to thick sounding ES3. The bass of ES3 is extended a bit deeper as compared to the Sage, it is also more textured as the Sage presents the sub bass in a smooth manner. The mid bass of Sage sounded linient when compared side to side with ES3, it is also smoother but in return it is more tight and fast than the ES3’s. The lower mids is cleaner in Sage, it is a more forward to but it lacks the body that ES3 making it dry sounding at times. The upper mids sounds sweeter and more transparent in the Sage, it is more upfront too. 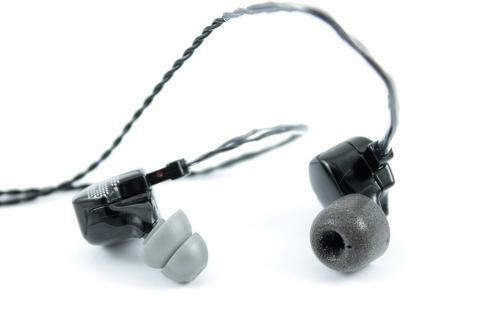 The Sage is a bit bright compared to the relaxed and airy treble of the ES3, the ES3 has more controlled and is a bit recessed while the Sage wins with crispness and resolution. The stage of ES3 is still bigger for me, but this time it is closer it is just that the sense of depth is better in the ES3, on the other hand layering and imaging goes to the Sage. 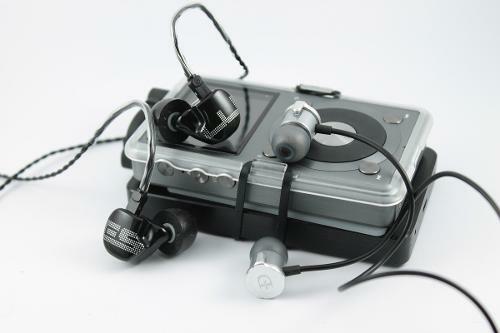 Earsonics ES3 was released years ago, but hey it can still go toe to toe against newer competitors in its price tier. I love the bass as it has moderate impact yet there’s a good amount of texture and resolution, it can go deep too. Lower mids is full sounding and it sounds fantastic when playing heavy rock and metal songs, upper mids has moderate transparency without sounding shrill or sibilant. Treble is airy especially for a pure BA, it is placed just enough to have presence and not be fatiguing, it extends very well and it is controlled with nice resolution and decay speed. The ES3 is very cohesive, it is open sounding with great sense of height, width and depth, layering and imaging is realistic as well. 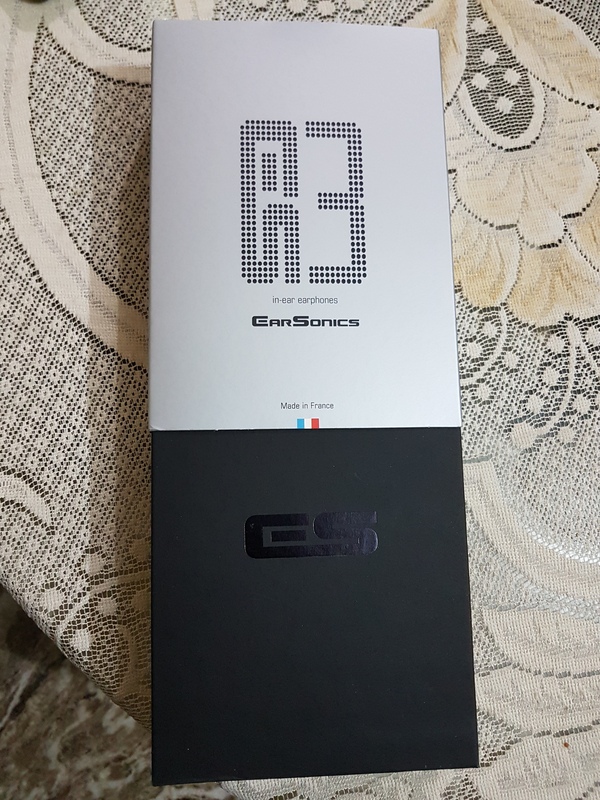 I would say that ES3 is one of the best warm and smooth sounding pair that I’ve ever tried; I can say that under 30,000 PHP the ES3 is a beast in cohesiveness! Earsonics is a French company that specialises in making iems. 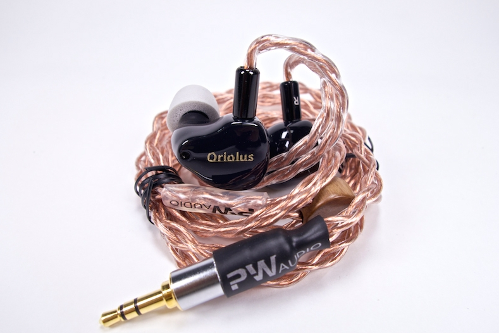 They have been very active in producing iems with the recent release of their flagship in Earsonics EM10. In this review, I will be reviewing the ES3 from the Music series. I would like to thank David and Earsonics for the arrangement of this review unit. The Earsonics ES3 is a triple balanced armature drivers iem that features 1 driver for low frequency, 1 driver for middle frequency and 1 driver for the high frequency. The iem design and manufacturing/packaging are made in France at their Lab. 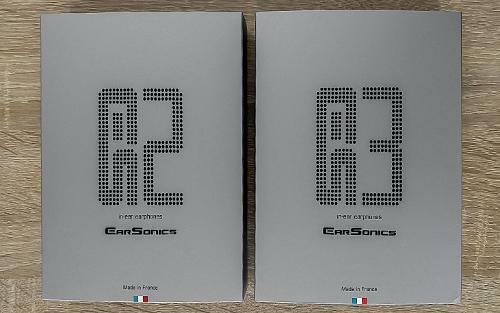 At the moment, you can purchase the Earsonics ES3 at http://www.earsonics.com/store/produit/es3/ . 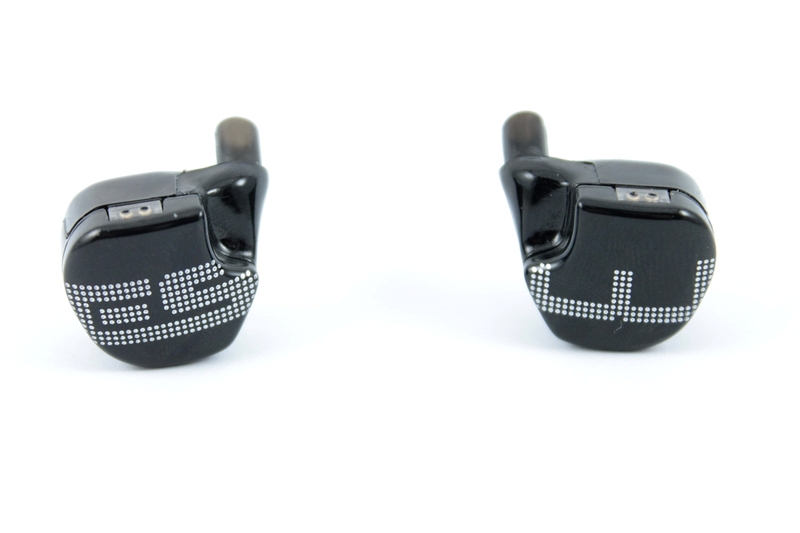 The Earsonics ES3 comes in a black package that has a matte silver protective cover. 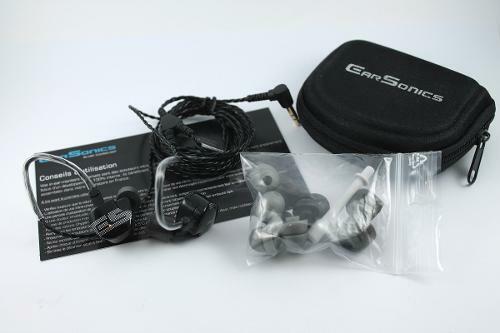 On the cover, there is the model name and brand name, “ES3 In-ear earphones Earsonics”. At the bottom of the cover, it shows that it is made in France. 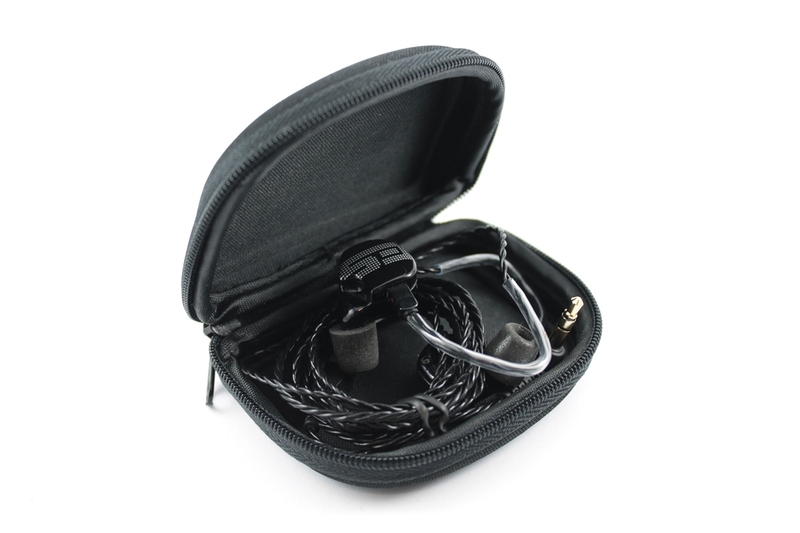 After removing the cover, you can see the iem, soft carrying case, cleaning tool and eartips at the front. Inside the case, there is a plastic pack that contains eartips. The brand name is printed on the carrying case. 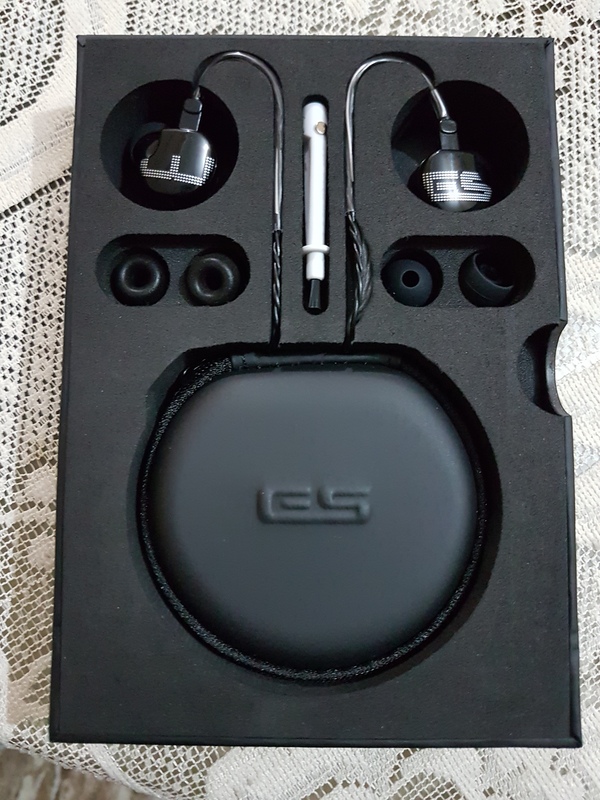 It is quite nice case to store the ES3. Beneath the soft foam, there is an instruction manual. Overall, the accessories are rather sufficient and it is presented nicely. The ES3 shell is made of acrylic and there is a smooth glossy black surface. On the left faceplate, there is the number “3” printed on it while on the right faceplate, there is the initials “ES” printed on it. The dotted design gives a cool look to the ES3. The print is white in colour. On the inside of each iem side, it has a rather flat surface. The nozzle is slightly angled and has no mesh. Down the nozzle, there are 2 bores. The ES3’s housing is light weight and I am able to fit it in my ears comfortably. 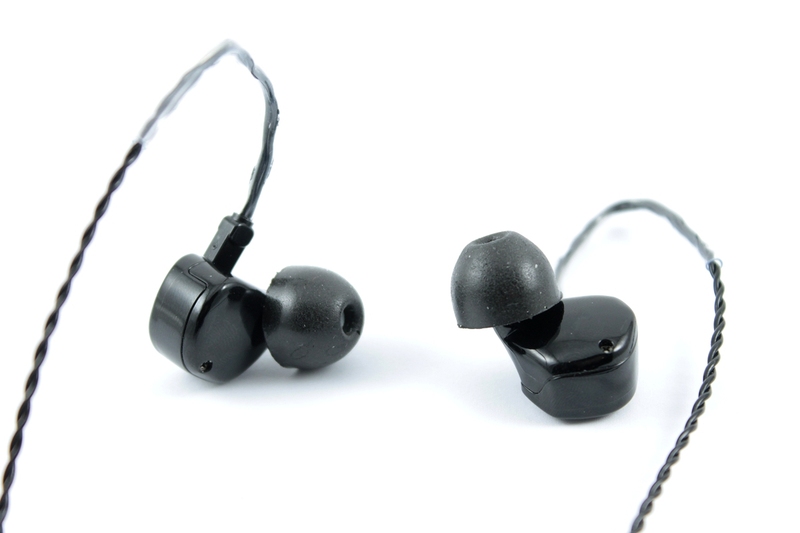 The iem is constructed with a solid build quality. 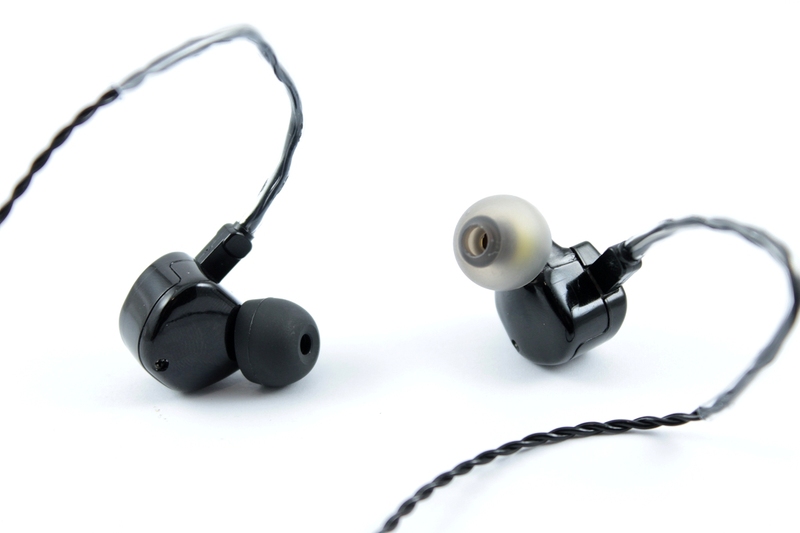 The overall design of the iem is quite good and it is aesthetically pleasing. 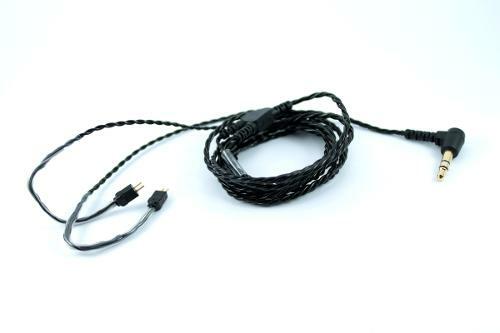 The cable is a detachable 4 core cable with 2 pin 0.78mm connectors. On the connectors, there are blue and red dot on the left and right side respectively so users can differentiate. 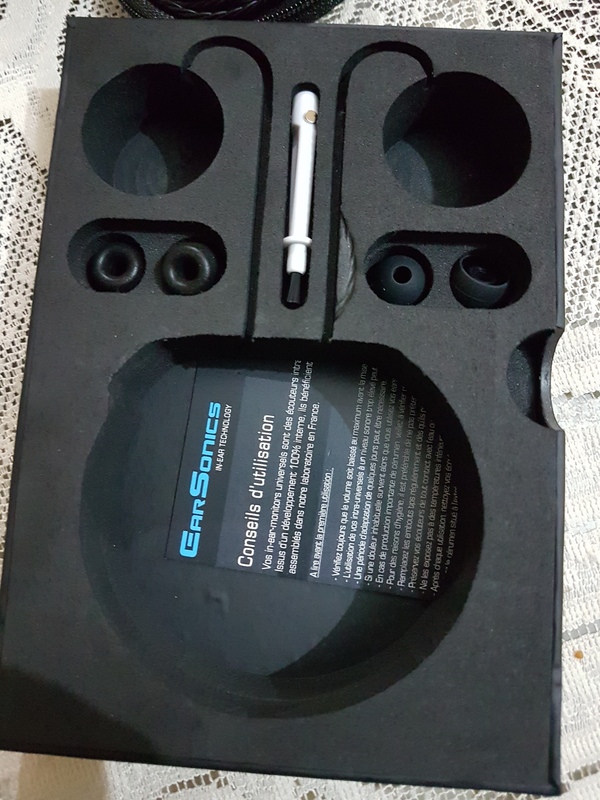 The connectors has a matte black housing. 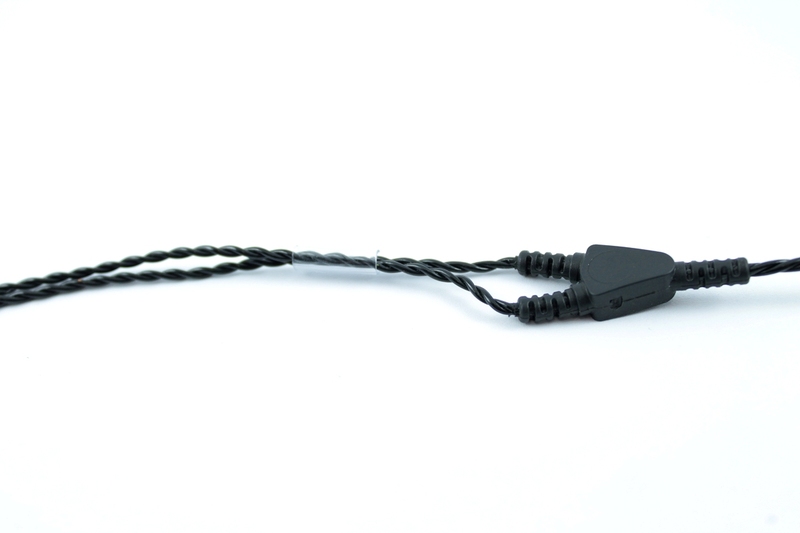 The cable has a memory wire section that is enclosed in a transparent heat shrink tube. It is not very flexible due to the metal inside that helps to form the shape. The memory wire section is rather short. The chin slider is made up of a transparent tube and the y splitter is made of a soft rubber material with strain relief. The jack is 3.5mm gold plated right angled with strain relief. 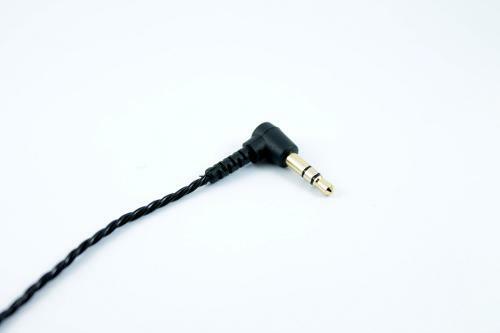 It is a simple stock cable. The ES3 extends its sub-bass greatly with a natural rumble. The decay is quick and there is impact brought by the sub-bass. The sub-bass has a good amount of quantity and it presents itself musically without compromising on the speed. The mid-bass on the ES3 has body to it and each slam is being expressed with a moderate impact. This allows the mid-bass to be more enjoyable. The dynamics is great. Bass texture on the ES3 is quite smooth and this is heavily contributed with the body. Each bass note has a full bodied presentation and the decay is slightly affected with less speed. The bass operates in a very smooth approach and it provides a high level of details retrieval. There is a natural feeling to the bass presentation and the full-bodied style of expression improves the texture. To sum it up, there is strong combination of technicality and musicality. The midrange is being expressed in a warm and smooth style. It has a good amount of body and the delivery is rather velvety. There is a thick and lush feeling to it. The lower mids has a moderate quantity to it and male vocals are being portrayed naturally. There is no nasal feeling. The upper mids has a moderate quantity to it and it is not very forward. Female vocals are presented with finesse and mastery. There is a good naturalness and it provides a creamy impact. Vocals have a high level of definition. The smoothness does not sacrifice the resolution and the midrange is thick and lush. There is an excellent execution of vocals and emotions are being conveyed intimately. The treble is rather balanced. There is no sibilance and harshness. It is extended moderately and packs details. The depth is existent with good level of finesse. The smooth nature of the treble helps to accentuate a full-bodied style. There is a good amount of air rendered and it helps to balance out the presentation. The overall sound will not be very dense sounding. The treble articulation is precise and resolution is good. With a soothing treble, there is fatigue-free listening. Overall, the treble has a blend of smoothness and excellent details retrieval. The ES3 has a great expansion in its stage width and the sound is not congested at all. The width aids in the overall presentation. The depth has a good space and the amount of space rendered is excellent. Positioning of vocals and instruments are precise with a high standard of imaging. Layering and separation is great. Resolution is top-notch. The ES3 has more sub-bass quantity than the DK-3001 and the extension on both is very similar. The sub-bass presentation on the ES3 has a smoother approach than the DK-3001. However, the DK-3001 expresses it in a more authoritative approach. Decay on the DK-3001 is slightly quicker. The rumble on the ES3 is moderate and it sounds more natural. Bass note on the ES3 has more weight than the DK-3001 and the musicality is enhanced. The mid-bass on the DK-3001 has more slam and the ES3 approaches it differently with more control. Mid-bass slam on the ES3 has strong mastery and it is portrayed gently with a smooth texture. Bass texture on the ES3 is smoother. The lower mids on the ES3 has more quantity than the DK-3001 and with the extra body, male vocals sound full and there is a better expression. There are no signs of hollowness. The upper mids on the DK-3001 is slightly more forward and there is slightly more crisp. The ES3 exerts a close control on the midrange and it is able to deliver a vocals masterclass. Coupled with the full-bodied style, the midrange is very emotional and intimate. There is a good speed with a high standard of details retrieval. Next, in the treble section, both are extended well with good definition. Treble articulation is accurate. Clarity is maintained for both. There is no sibilance and harshness. DK-3001 edges slightly with more air being rendered. Lastly, for the stage width, the ES3 has a more natural expansion while for stage depth, DK-3001 excels with more space. Resolution on both is very similar. The sub-bass on the ES3 has less quantity than the SD3 and the extension on the ES3 is better as it is being stretched out more. The depth gives the ES3 more impact in this area. ES3 tackles it in the clinical style and there is an added cleanliness. The sub-bass reproduction is effortless and the technical performance ensures every note is hit with impact. Decay on the ES3 is quicker and there is more punch. Bass texture on the ES3 is smoother. The mid-bass slam on both is very similar. There is good dynamics with the ES3 having a faster mid-bass presentation and it is able to deal with busier tracks. The overall bass on the ES3 has more finesse than the SD3. The lower mids on the SD3 is thicker and it has more body. 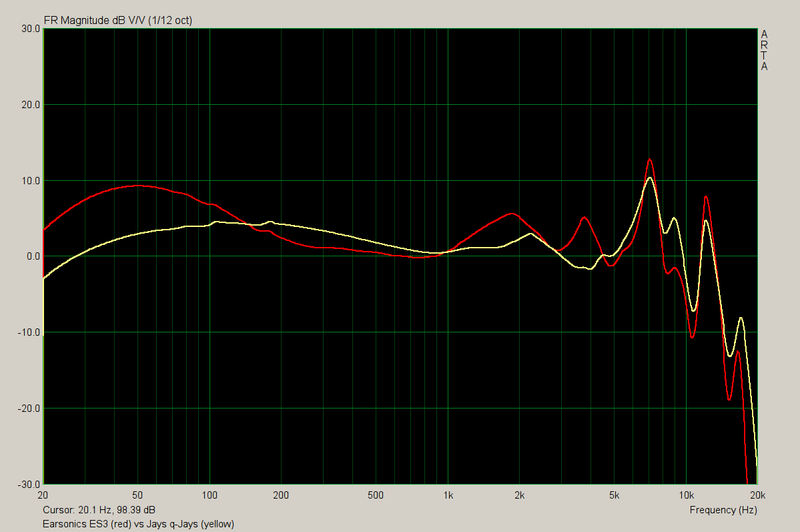 However, I find male vocals are better portrayed on the ES3 as it has a more appropriate amount. The upper mids on the ES3 is more forward and the SD3 sounds veiled in comparison. There is better execution of vocals on the ES3. 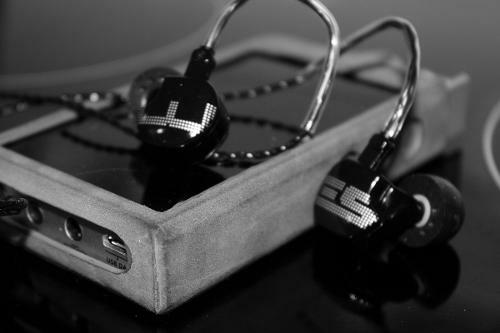 ES3 is able to provide a controlled yet energetic type of sound. 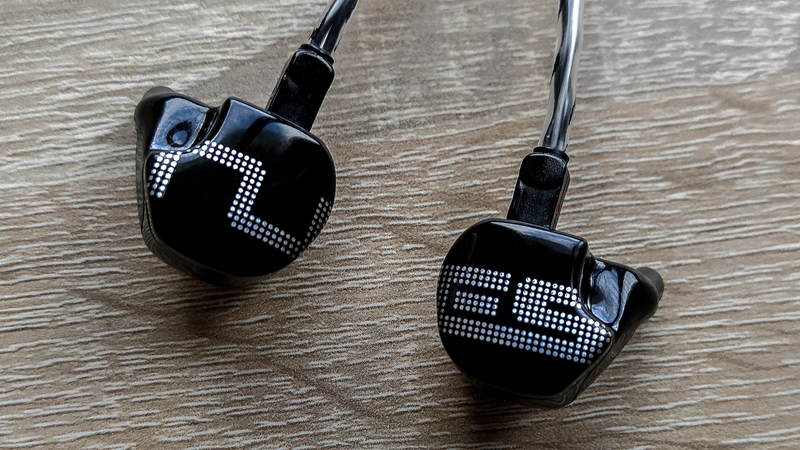 The midrange on the ES3 is superior to SD3 as it is competent to tackle both male and female vocals. Next, in the treble section, there is no sibilance and harshness on both. The ES3 is brighter with more extension. There is just more definition on the ES3. The air on the ES3 has more quantity and this gives more space to the overall presentation. It helps to prevent congestion in the tracks. Lastly, the soundstage tackles both the width and depth. Vocals and instruments positioning is more accurate on the ES3. The ES3 operates at a higher resolution than the SD3. The ES3 has more sub-bass quantity and extension than the Trident. The reproduction is smoother with more mastery. Trident seems slightly lacking in comparison. Decay on the ES3 is slightly quicker with more rumble. The pace of the ES3 is presented with more agility. The mid-bass slam on both is very similar. Bass texture on the ES3 is smoother and it is more soothing to listen to. Each bass note on the ES3 is being expressed with confidence. The lower mids on the ES3 has more body and it is able to tackle male vocals. The Trident sounds slightly dry in this area. In terms of upper mids, ES3 has similar forwardness as the Trident but it just packs more details and emotions. Female vocals are presented with intimacy and does not sound too close. In the treble section, I find the extension to be very similar. There is slight harshness on the Trident but on the ES3, it is just smooth. There is a good amount of air rendered on the ES3. Lastly, for the soundstage, ES3 has a more natural expansion in width and the depth is not as close in as the Trident. There is just more space on the ES3. The spacious presentation aids in the overall sound. Resolution on the ES3 is better. The ES3 has incredible finesse in handling vocals and the midrange takes on a full bodied approach which results in a vocals masterclass. Coupled with the emotional rendering of the midrange, the energy at the top end contributes to a complete performance. The sound is excellent as it is able to combine both musicality and technicality. The build quality of the ES3 is great and the unboxing is nice. The Earsonics ES3 is a delightful triple balanced armature iem with a full bodied sound. Pros - Nice fitment, good isolation, more than enough bass, bigger Mid range stage, Smooth and juicy sound, Nice details. Cons - No triple flange tips, limited accessories, lacks the attack of a typical BA earphone. Earsonics is one of the most popular earphone brands from Europe, hailing from France , Earsonics are known for their array of products for audiophiles, enthusiasts and artists. 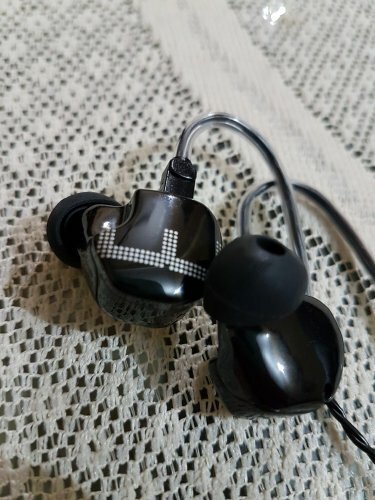 Their custom made earphones for artists are highly recommended and their universal earphones are some of the best earphones in their own price range. Their SM series (last gen, now replaced with ES series) was one of the most popular BA based series with praises from everyone, let it be the SM2, SM3 or the last one from that lineup, SM64, all of them enjoyed fantastic reception and appreciation from anyone who have owed or auditioned them. 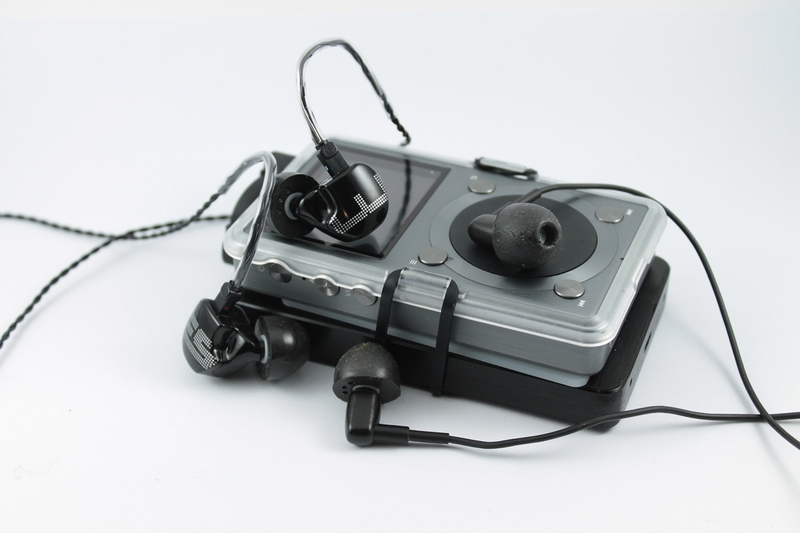 Earsonics recently came out with two new earphones, dual BA housing ES2 and the classic triple ES3. The ES3 is not an exception, housing 3 Balanced armatures per side( just like SM3 or SM64), one for bass, one for mids and one for highs with a 3 way crossover, comes in only one color and is priced at around 500 dollars or 399 Euros, it faces stiff competition from Westone W40, 64audio U3 and UE 900s. I will compare this with the 64audio U3, AF1120 and the onkyo E900m. All are similarly equipped or priced. There is small carry case and a 2pin .78mm cable. The cleaning tool and the instruction manual rounds up the package. Even though the shell is totally plastic, it looks nice with polka dot prints on the shells of both the earpieces, right side has ES on it and left side has 3, that way you can tell the channels apart with a single look at them. Now the build quality is sturdy and fealt good until I removed the ear tip from the nozzle, the nozzle look like it has thin walls which makes me refrain from pushing the tips too hard on the nozzles. Now Earsonics won't tell you but the ES3 has a dual bore design, look into the nozzle and you will see the bores, I think one is for bass and other for mids and highs. 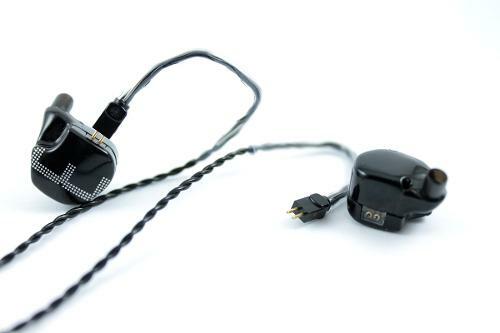 ES3 cable comes with a 90 degree 3.5mm jack, a nicely stress relieved splitter and a none memory wired cable guides with aluminum wire inside. The good thing about this cable guide is its shorter than others hence one doesn’t need to fight with them every time. This braided cable looks strong, feels supple and low on microphonics. There is no MIC & remote cable in the box but you can get a aftermarket cable if you want to use your ES3 with your mobile device. I think I should point out that this Stock Earsonics cable sounds better than the stock 64audio cable. Earsonic cable has better extension, better stage depth and better treble spark too. ES3 fits perfectly but at first one has to shape the cable guides according to its comfort, once the guides are shaped it's easier to put it on next time. Comfort can be an issue for those with smaller ears and will find a triple flange tips more comfortable, sadly there are no such tips out of the box. Thankfully there are no sharp edges to worry about like the DUNU DK-3001 (which can be really uncomfortable at times, especially in longer listening sessions). 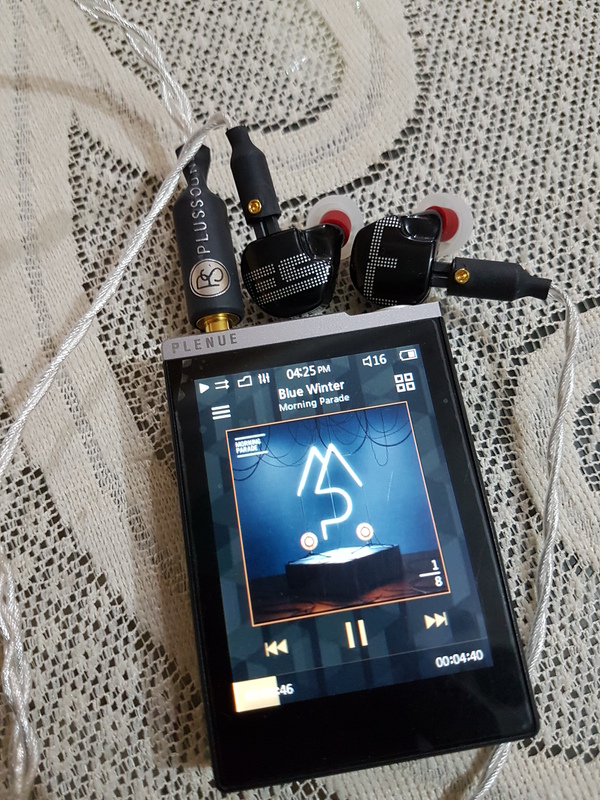 Thanks to its shape, I find the ES3 even more comfortable and stable when compared to the 64audio U3. Now It maybe just me but I experienced some driver flex with single flange rubber tips. foam tips are more comfortable but I like the more forward nature of the rubber tips. I do think the fit is kind of shallow, but not a problem at all. Isolation is fantastic with both the tips, I just can't pick one here. 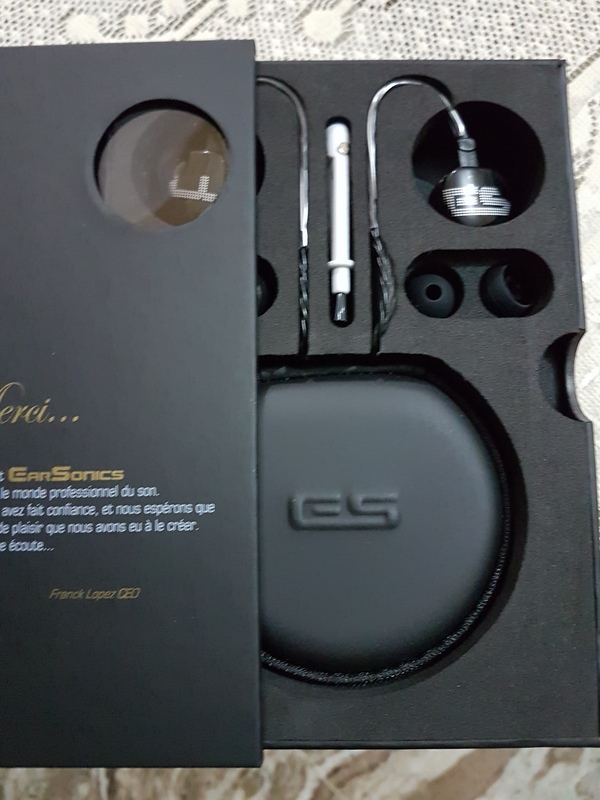 Now the best thing about ES3 is even though it is not a hybrid, it has good amount of bass especially when compared to other multi BA based earphones like EU 900s, 64audio U3 and Audiofly AF180. Just like our friendly neighborhood spiderman keeps on saying.. "with great power comes great responsibility" I gotta say here that.. " With bigger bass come some V shaped sound". Which is not bad at all, it just takes the seat on the back but is nicely active on its own. 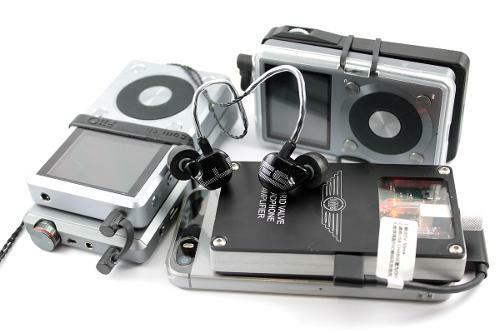 Now the saddest thing is I don’t have a more V shaped earphone like FLC 8 or DUNU DN2000/J in this price range. All I own are these dangerously flat sounding ones like AF180, AF1120, ER-4p, and some with slightly better bass than these like Onkyo E900m, U3 and UE 900s. 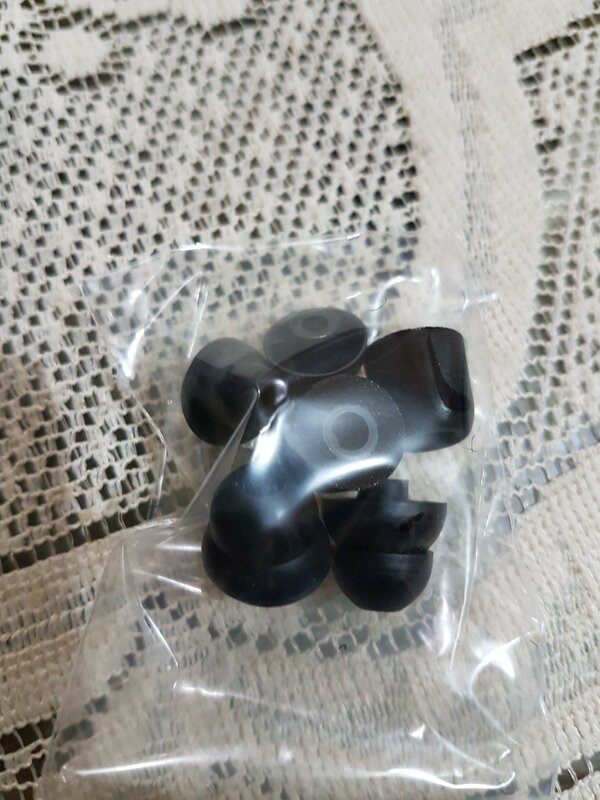 I had auditioned a few good earphones a few months ago like the XBA-H3, SM64, talking from memory will be a crime here but yes they were more V shaped. Its easy to drive this earphone even out of your day to day mobile phone. It doesn’t need amping to sound good but it does sound better with a bit more power. ES3 come with 3 types of tips, I prefer the single flange tip over the foam tips because foam tips take some energy away from the instruments, if you done like your highs sparky then opt ofr foam tips. Double flange tips sounds fantastic but the stock tips are not comfortable to me. The best tip for the ES3 is sipnfit. It has the best balance between length of the stem and bore size for ES3. I am using stock single flange large sized rubber tips for this review. As I said earlier, unlike other BA based earphones I have, this one has the best balance of bass impact and quality. 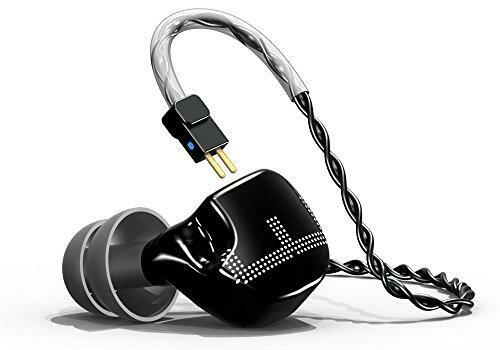 It has the body and impact which I had not experienced with any of my previous all BA earphones in this price range. 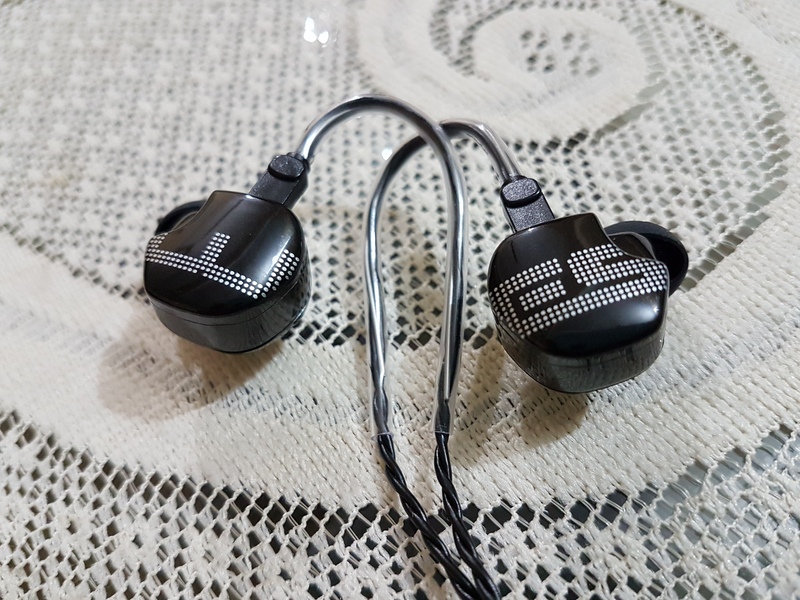 ES3 has a nicely rounded body with good amount of sub-bass, slightly more present mid bass and nicely tamed upper bass, making it one of the best BA based earphone for bass I have. It has a nice slam and moves good amount of air too. Impact is on the softer side making it more enjoyable unlike the U3 which has a bigger mid bass impact and hits slightly harder. Decay is good but slower than U3. Its good because it gives you a fraction of a second more to enjoy the bass note as it doesn’t vanish into thin air as soon as it hits. Oh, I forgot, ES3 has better sub-bass extension when compared to the U3. With its bigger deeper and fuller bass ( compared to UE 900s, AF180, AF1120) ES3 has plenty of details, it sounds more natural and closer to what the musician intended with its track. Nope.. it's not for bass heads by any means, it is much more controlled and neutral with its presentation when compared to something like XBA-H3. All in all this bass can be described as balanced, thicker, warmer, cohesive, natural and enjoyable. Now the transition from upper bass to mid is not as good as the AF180, EU 900s or the more superior AF1120 which has flawless transitions. There is a small dip around the lower mid but hardly a problem. As I said earlier mid range has taken the back seat in this setup but still has plenty going for it. It has one of the most spacious mid range and with a bit more power it shows its true quality. With this stage, layering and its top class separation with desired amount of air between instruments, ES3 delivers a fantastic Imaging. Vocal on the ES3 doesn't feel like being restricted like others, it has a good amount of poise and desired amount of finish to it. Let it be male or female, both sound equally engaging with exact amount of thickness to notes without being sibilant, which is admirable. Unlike AF180 which sounds more dry, less dynamic and slightly more prone to sibilance in comparison. Upper mid range is slightly more energetic, every instrument maintains its clarity and has good instrumental attacks, It doesn’t sound strident or over excited like the AF180 but it has plenty of bite in a controlled manner, in other words "without being sibilant at all". The best thing about the ES3's mid range is its dynamism, its more dynamic than the ER-4p, AF180 or even the U3, its timber too is more natural compared to the others. With its dynamic, spacious, natural and smoother presentation ES3 sounds more juicy, cohesive and less straining. I am personally a fan of top end spark, it keeps the musical factor for me and ES3 is satisfyingly energetic. I have experienced many earphones who can't really control their top end and end up being too sparky or sibilant. Even though is ES3 has good amount of energy and has fantastic extension it doesn’t have any type of sibilance at all. Another thing is it's not as eager as the AF180, which has the bite and attack of a borderline sibilant earphone. ES3 has less forward and slightly smaller notes depth which makes it sound more engaging and balanced. There are no early roll off to worry about either. Layering, instrument separation and transparency is up to the class and the bigger than average sound stage plays a part here too. Overall presentation is smooth and easy on the ear while maintaining the level of clarity and details. Similarly equipped with 3 BAs U3 sounds more orthodox compared to the ES3. U3 lacks sub bass rumble, more mid and upper bass dominated, decay is faster, body it slightly bigger but it doesn’t have the reach thus doesn’t move much air. Mid range on the U3 is more serious, not V shaped and sounds drier where ES3 sounds more juicy and smoother. It has similar amount of details but the stage is considerably smaller on the U3, it lacks height and width, depth is similar. Now my complain is with highs, even though It doesn’t lack extension it lacks energy maybe due to an early roll off. Everything else is similar like layering and separation. But the lack of energy puts me off. It’s a no brainer unless you like rolled off highs, ES3 all the way. These two earphones have slightly different approach. Where ES3 entertains, E900m is more accurate still being natural and musical at the same time. One of the best sounding hybrid I have ever heard for under 500 usd, fantastic accuracy and timber, oh my my... Bass on the E900m has fantastic control, it has some body and better sub bass balance with mid-bass. Impact is smaller, moves half the air with a little bit of rumble, but has better details. Decay is what I exactly desire, faster than ES3 and closer to ER-4P. better balanced. It has better clarity and transparency, all the instruments, vocals are so clear and vivid, I sometimes forget that I am listening to an earphone. Yes it doesn’t have the mid range stage size of the ES3 but still bigger than U3 and there is plenty of air between instruments. There is a small dip in the upper mid but that’s okay. Highs are another area it does slightly better than the ES3, it has similar extension but keeps the energy under control at the same time being nicely relevant. Has slightly better clarity, layering and separation. Totally contrasting approach, AF1120 is red dead serious about details and accuracy (with double the drivers, 6 that is), ES3 is more musical and entertaining. Its bass is considerably smaller, little body, little air, there is little sub bass rumble but smaller mid bass and upper bass emphasis. Has the typical BA level decay, details is better thanks to the faster decay. Mid range is where these two are really comparable. AF1120 has sharper drier and more energetic approach to it. Stage is similar but ES3 has better depth. AF1120 sounds more detailed thanks to its better energy around the upper mid region. Highs are far more extended and has more energy, sounds drier, sharper and are more detailed, it has better air between the instruments too. The outstanding thing about AF1120 is it has one of the best balance I have seen, there are no obvious crossover dips or lack of energy anywhere across the spectrum. 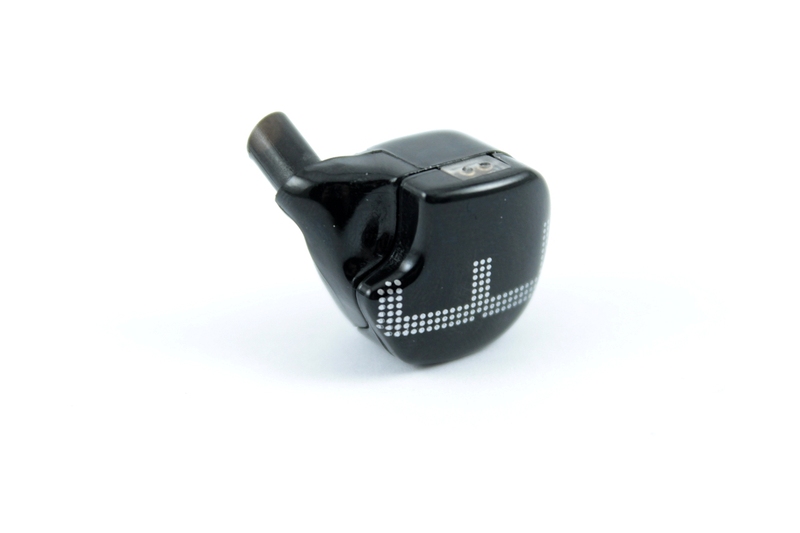 With their expertise in this area, Earsonics has done a fantastic job here. It takes a slightly different approach by being more entertaining and enjoyable than rest of the bunch. ES3 is mildly colored with slightly laidback mids, compensated with bigger stage, air, details and smoother and lush presentation. It’s a winner. With its quality of bass, entertaining mids and engaging highs it doesn’t fail to impress. I love the fitment too, its ear guides are of the right length. 1. are you buying an earphone for critical listening? 2. you want to appreciate and enjoy the music, music which makes your foot tap in the mean time? If you are More for the 2nd type, nothing beats the ES3 for around $500. It has the X factor. Have an nice Time. Cheers and enjoy the music!! I think most people will have heard about Earsonics at some stage. My first experience of their gear was years ago – when someone loaned me their SM3 for a couple of weeks. This was in my very early years, and before I'd really started reviewing. At the time I think I had my SE535 LE or SE425 as my main in-ears, and already I'd discovered that I liked a more balanced, but slightly brighter signature. And the SM3 to me were very smooth and pretty dark. They were good – but not my “cup of tea”. I read a lot of popular reviews on them – and soon decided that perhaps Earsonics just simply wasn't my type of house sound. 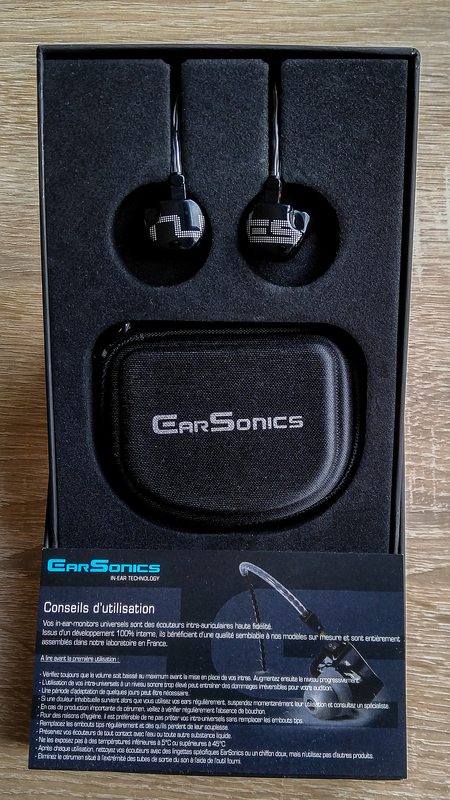 Jumping to early conclusions can be pretty stupid – and I'm pleased to say that my latest experience with Earsonics products couldn't be more different than my earlier one. And a quick plug here for both Nic (you know him as flinkenick) and also Max Capgras from Earsonics for making this all possible. 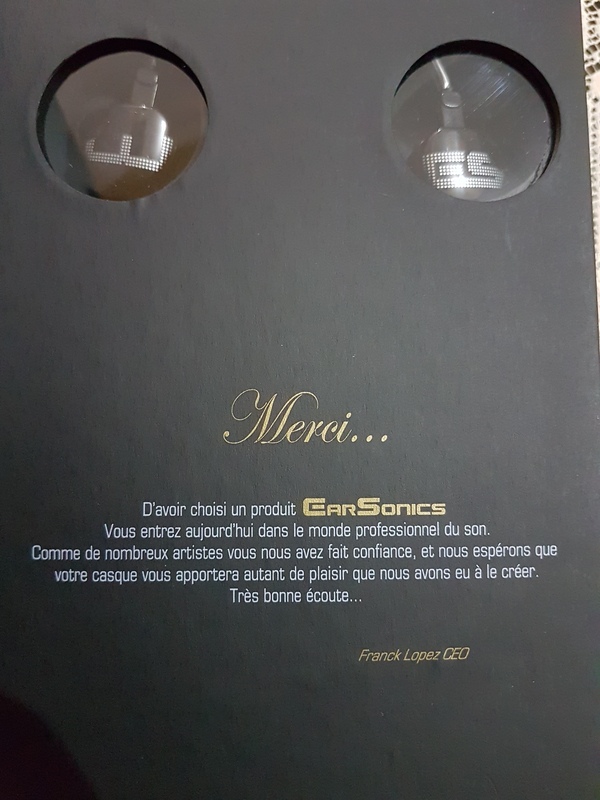 Nic sent Earsonics my details, and I was extremely surprised when Max contacted me and asked if I'd like to review their ES2 and ES3 IEMs. I'm so glad he did too – because I really LOVE both IEMs. Read on to discover why my early impressions of Earsonics from all those years ago have been literally turned on their head. 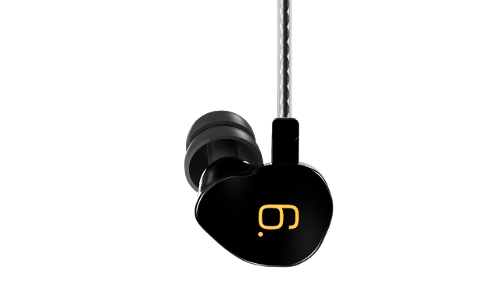 French designer and manufacturer of a range of in-ear-monitors tailored and universal for musicians, sound engineers and audiophiles demanding. Provide quality, high fidelity audio listening. Respecting the spectral balance and musicality. Musical sound around listening .. I know that their earliest commercial model seems to be the original SM line, and includes the SM2, SM3, SM64. From there they have branched out into both custom monitors and also universals including EM32 / EM6 / EM4 / EM3-PRO / EM2-PRO / EM2-iFI, S-EM9 / Velvet / S-EM6, and the new ES2 / ES3. They also have two amplifiers – the AMP911 and AMP912. In a field dictated by the data sheet and the race for pure performance, we ended up forgetting the essential - what drives you to start a desire to acquire the best, for the sole purpose of creating this emotion that overwhelms you and makes you forget everything else. I can definitely relate to this thinking. 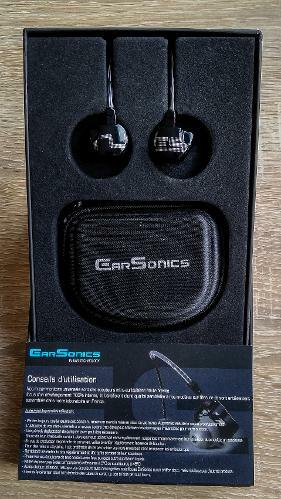 I was provided with the Earsonics ES3 free of charge for the purposes of reviewing for Head-Fi. Earsonics does not expect the earphones back, so I acknowledge that they are freely given and I thank them for the opportunity. I am not otherwise affiliated with Earsonics in any way, nor do I make any financial gain from my contributions, and this is my subjective opinion of the ES3. For the bulk of this review - I mainly used the ES3 straight from the headphone-out socket of my FiiO X3ii + E17K, and also used (at different times) my iPhone SE, and a variety of the other DAPs I have around me (including the FiiO X7, L&P L3 and HifiMan SuperMini). 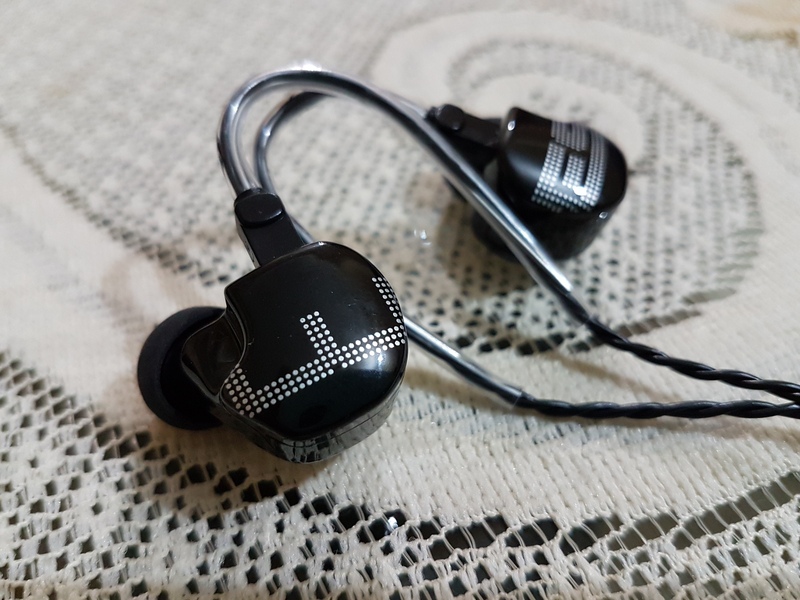 Although I tested them with an amplifier, I do not think they benefit from additional amplification (I use mine mainly for consistency when reviewing and also to extend battery life on the X3ii). In the time I have spent with the ES3, I have noticed no changes in the overall sonic presentation, but am aware that I am also becoming more used to the signature of the ES3 as I use them more often (brain burn-in). 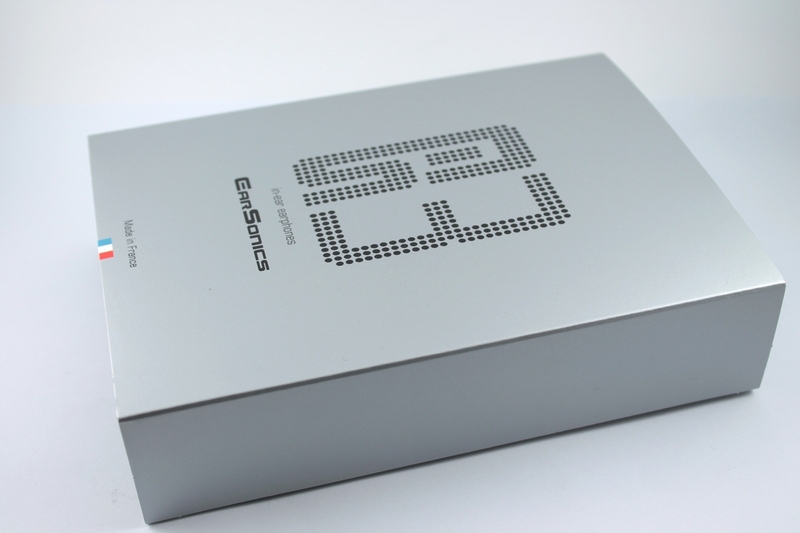 The ES3 arrived in black box and lid with a silver sleeve. The outer sleeve simply has the ES3 logo, the company name and a small “Made in France” text and logo on the front. On the rear is a little technical info regarding the ES3 and also the website address. The packaging measures 120 x 170 x 40 mm. 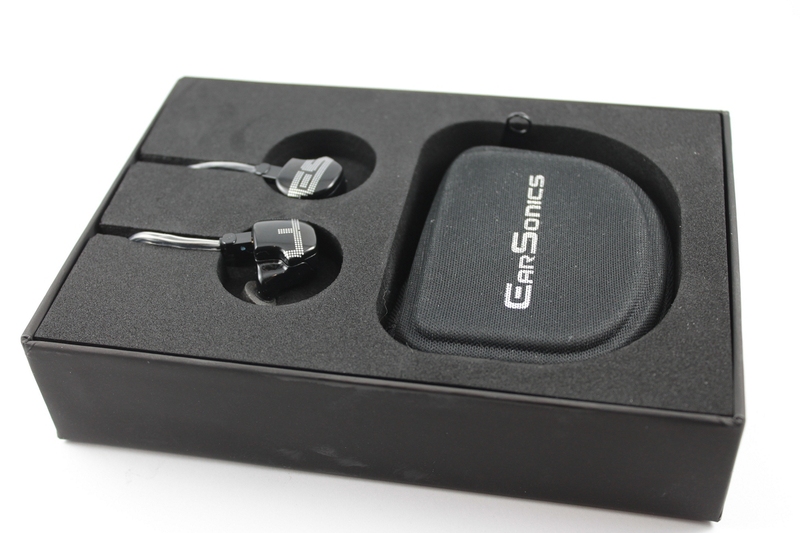 Removing the sleeve reveals a sturdy plain back box and lid – with the Earsonics (ES) logo on top. Removing the lid exposes the ES3 nestled safely in a foam cut-out, the Earsonics carry pouch, and (inside the pouch) the accessory pack. The pouch is a flat clamshell which seems to be made out of a double weave canvas type material with a more rigid inner layer sown between the two outer layers. It has a zip around the three sides, measures approx 90 x 70 x 30mm, and is semi-rigid enough to provide protection while still being very pocketable. I really like this case for use on-the-go. All in all a reasonable overall package which should tick most people's boxes. I've listed both the ES2 and ES3 specs as no doubt people will be looking for comparative information. The graphs below are generated using the Vibro Veritas coupler and ARTA software. Ken Ball (ALO/Campfire) graciously provided me with measurement data which I have used to recalibrate my Veritas so that it mimics an IEC 711 measurement standard (Ken uses two separate BK ear simulators, we measured the same set of IEMs, and I built my calibration curve from shared data). I do not claim that this data is 100% accurate, but it is very consistent, and is as close as I can get to the IEC 711 standard on my budget. 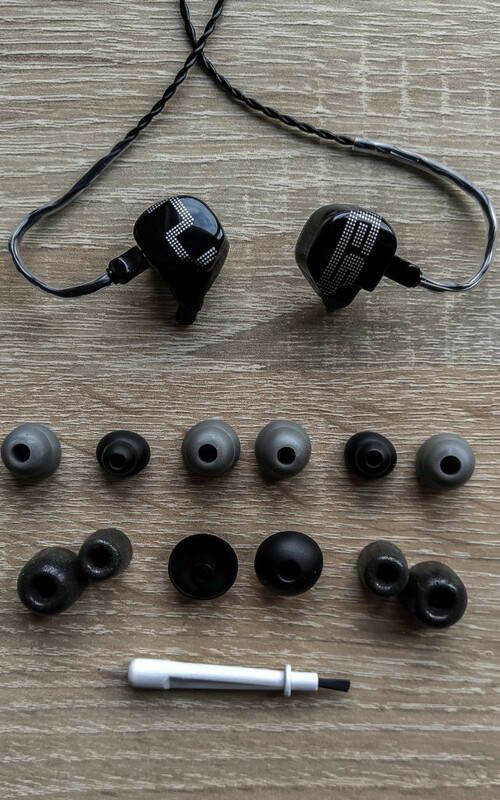 The graphs are provided merely as a point of discussion, and later in the review I've included comparisons to other IEMs for similar reference. Upper mid-range has an excellent (and very cohesive) rise in the presence area (toward 2 kHz) and gives a very clear and clean vocal presence. There is a minor peak at 4 kHz and a sharper one at 7 kHz. For those who are sensitive to lower treble at 7kHz it may get a little sharp. This is an area of the frequency band which has never concerned me, but for others I know it can be problematic. Overall it is monitor with pretty good overall balance with just a hint of a U shaped tuning (sub bass and lower treble emphasis. One final note - the channel matching is superb - among the best I've seen from any manufacturer! The ES3 has an interesting twist on a traditional ergonomic type design. It consists of a two piece hard plastic shell which has an odd shaped seam, but joins naturally into a smooth half “D” shape through the use of two micro Phillips head screws. 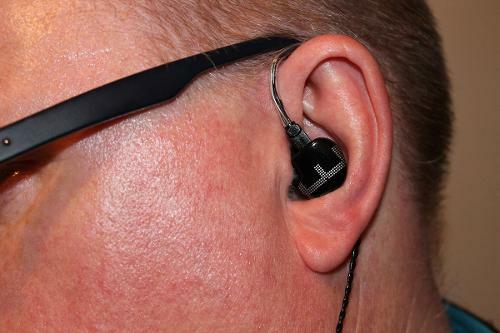 All corners are nicely smooth, and the ES 3 fits my ears wonderfully with no sharp or protruding points. They measure approx 20mm in length at their widest point and 16mm tall, with a depth of about 12mm. The nozzle is approx 6mm in length, 4mm in width, is located at the upper front of each ear pieces and is nicely angled to fit naturally with your ear canals. The nozzles are lipless and designed to fit T100 Comply foams (which means the Shure Olives are also a good – albeit somewhat tight – fit). The external face is again smooth and nicely rounded. 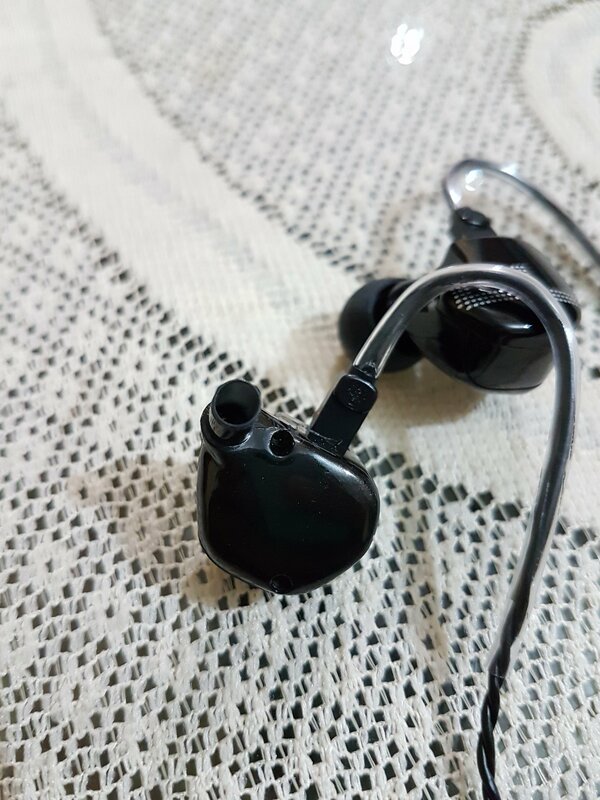 On the right hand earpiece are the letter ES and on the left is the number 3. At the top center (part of the outer face assembly) is the standard 2 pin connector socket. This is a standard flat socket – so there will after-market cable options for those who prefer cable changes. The most striking thing about the ES series is the notch in the outer face, directly opposite the nozzle, and it actually looks almost like a piece has been taken out – until you notice the smooth curves and realise it is intentional. I was puzzled why the would do it until I noticed how well they fit. The notch has been designed to fit your Tragus, and it works extremely well. Brilliant design, and one of the reasons why this universal is so comfortable to wear. There are otherwise no external markings or brands, and of course no vents because it is wholly a multi-BA configuration. The cable is 1.2m in length and consists of a copper core and TPU (thermoplastic polyurethane) sheath. The use of TPU makes a lot of sense due to its high elasticity, high shear strength, and resistance to oil and grease. The connectors are clearly marked left (blue) and right (red) with dots on the connector housings. From the connectors is a 60mm formable ear guide which I have found really easy to use. The y-split is plastic with excellent strain relief, and there is a clear plastic tube for a chin slider/cinch – which again works very well. The jack is right angled, 3.mm and gold plated – again with excellent strain relief and also smart-phone friendly. The cable itself is a twisted pair above the y-split and twisted triple below it. It is extremely supple, and while there are some microphonics, use of the cinch and cable management under clothing eliminates this to a negligible level. 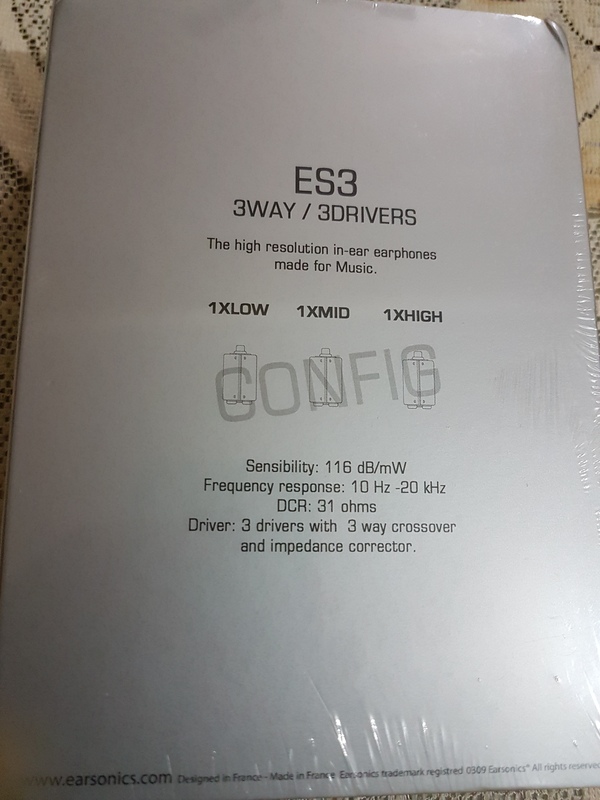 For those who like to know about the internals, the ES3 employs 3 BA drivers (usual bass, mid-range and treble drivers) and uses a 3-way crossover with impedance corrector. The BA's are proprietary Earsonics drivers. One other hidden feature of the ES3 is utilisation of shorter acoustic tubes, and also implementation of an internal diffractive acoustic chamber – which Earsonics says helps add to the overall cohesion between drivers, and also a more believable sound-stage. Overall I'm pretty happy with the build – it seems sturdy, light weight, and above all built for comfort. I have one ear canal slightly different to the other one (my right is very slightly smaller) - so I tend to find that usually single silicon flanges don't fit overly well and shallow fitting IEMs can be problematic. 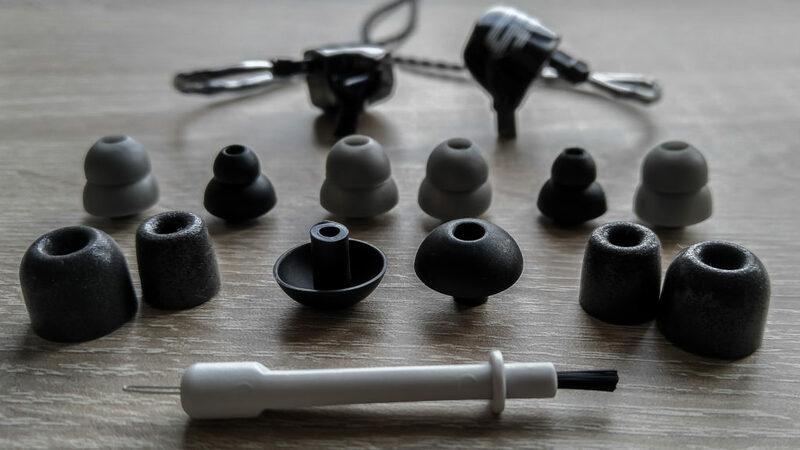 The ES3 is a relatively shallow fitting IEM – but because it naturally fits Shure's Olive foam tips – I can get a perfect seal every time by using the large. Earsonics does include their own silicone tips - which are quite rubbery – but also gave me an excellent seal, and were (surprisingly for me) very comfortable as well (dual flange). Because of the thinner width of the nozzles, and lack of any type of lip – many of my other tips simply would not stay on. However both Spinfits and also hybrid tips (Sony Isolation or Trinity Kombi) also worked well. For me though, the Shure Olives are very comfortable and get a great seal every time. Isolation with the ES3 will depend on the seal you achieve and type of tip (possibly also the insertion depth you can achieve). With the Shure Olives, isolation was really good, and I couldn't really hear the keyboard while I was doing the final edits. With music playing, isolation is great, and I'd have no problems using these in public transport. Comfort for me is excellent – the ES3s are another of those designs which simply disappear when worn. In fact these rate up there with the most comfortable IEMs I've tried. They sit well within my outer ear (inside the external ear cavity – between tragus and anti-tragus), and are extremely easy to sleep in. So the ES3 has a great build, and is extremely comfortable to wear. How do they sound? The following is what I hear from the Earsonics ES3. YMMV – and probably will – as my tastes are likely different to yours (read the preamble I gave earlier for a baseline). Most of the testing at this point (unless otherwise stated) was done with my FiiO X3ii + E17K as source, and Shure Olive tips. For the record – on most tracks, the volume level on the E17K was around 16-17/60 (on low gain) which was giving me an average SPL (A-weighted) of around 65-75 dB. Tracks used were across a variety of genres – and can be viewed in this list http://www.head-fi.org/a/brookos-test-tracks. Sub-bass – well extended and there is enough rumble there to know you're covering the sub-bass nicely, but it is not the star of the show, and its not over-powering. Its an interesting signature because the sub-bass is elevated compared to the mid-bass. Mid-bass – really linear, and if anything slightly recessed compared to sub-bass and upper mid-range. This makes for an interesting combination – because the overall signature still has enough warmth from the sub-bass, but doesn't have the traditional thump that usually comes from a slight mid-bass bump. Because of this sum tracks which are normally dark and broody (Lanegan's “Bleeding Muddy Waters”) are lacking a little – but the sub-bass still makes it enjoyable overall. Speed of the bass is very good, and of course there is no bleed at all because of the linear nature. Lower mid-range – again very linear – perfectly balanced with the mid-bass and has great cohesion with the upper mid-range. Male vocals still have good texture and there is a lot of clarity. Upper mid-range – elevated compared to lower mid-range, but it is a slow rise from lower mid-range to the first small peak at about 2 kHz, then a dip and similar rise toward 4 kHz. The result is an incredibly clean and clear vocal range, with good presence to lend a sense of euphony to female vocals – but without over-doing it and making the entire signature too lean or dry. The upper mid-range on the ES3 is (for me) one of the best qualities of this IEM. Lower treble – there is a definite peak at around 6-7 kHz, so if you're sensitive to this area, it might pay to be cautious with the ES3. I'm not – so this tuning is generally good for me. There is some roll-off immediately after this peak, so you have a lot of clarity and definition without any real harshness or brittleness. One of my tests for lower treble is to listen to the natural decay of cymbal hits and see if it is overly truncated. highlighted or sounds natural. The treble decay seems to extend quite nicely and detail lovers will really enjoy this I think. Upper treble – there is extension beyond 10 kHz. To be honest, I never really notice it any more – there is little useful information above 10 kHz as far as fundamentals go – virtually wall harmonics. But lovers of air will enjoy it. Overall Signature – this is a hard one for me to classify. It's not a natural presentation – but it is relatively linear. For those who really like a clean and clear signature – which is relatively well balanced overall, and has great extension at both ends – then the ES3 will be right up your alley. But the overall signature tends to be on the slightly brighter and overly clean side of things – mainly because there is no mid-bass hump = which generally sounds more natural if its in the right proportions. Excellent with micro detail, and able to resolve finer details well. An extremely clean and clear monitor with good resolution – if at times a little spotlit. Good immersion both with applause section of “Dante's Prayer”, and also “Let it Rain” - although does not sound as natural as it should (more etched or emphasised than natural). A genuine sense of space was apparent with both. For those who like a linear (but brighter) signature, you will love the ES3. I find them to have a pretty good sense of overall balance with a leaning toward brightness. Excellent if you are a low volume listener – great detail and overall sense of balance. The more you turn them up though – they can get a little strident for me. Extremely good with female vocals, lending an air of euphony and sweetness – without over doing it. Sarah Jarosz (my latest “obsession”) sounds incredible. Genre master for lovers of a balanced to bright signature – I enjoyed it with almost all genres tested – from classical, jazz and blues to light electronic, grunge and pop. See below for the genres it was a little weak on. Although I really like the extension in the bass and find it quite balanced/linear, lovers of more bass or an overall warmer /thicker tonality would be best to be cautious. I found some hip-hop, electronic and trance just needed a little more impact (mid rather than sub-bass). And depending on your tastes for Rock – again some may find the bass response lacking. 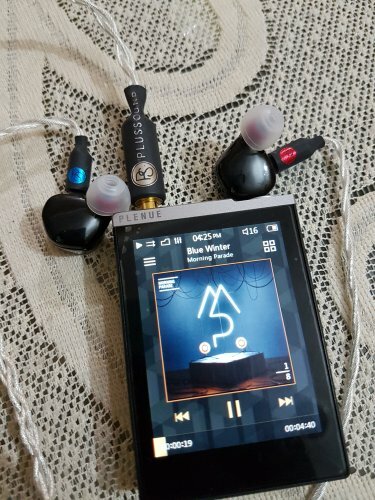 The ES3 is easily powered straight out of the portable devices I have, and I haven’t experienced any issues with the iPhone ES, or any of the FiiO DAPs. I'm at my usual 65-75dB listening level (with typical pop/rock songs) on the iPhone ES at a volume level of around 25-30%, or on the E17K around 16-17/60 on low gain. I did try amping with the E17K, FiiO's new A5, and also the IMS HVA, but noticed no obvious signs of improvement through the application of additional power. What I did notice with the IMS Hybrid Valve Amp combined with my iPhone as transport (so using the DAC and amp section of the HVA), was the slight valve warmth (2nd order harmonics) did tend to complement the ES3. From my tests, the ES3 neither benefits from nor needs additional amplification, but you might want to try it for tonality reasons. 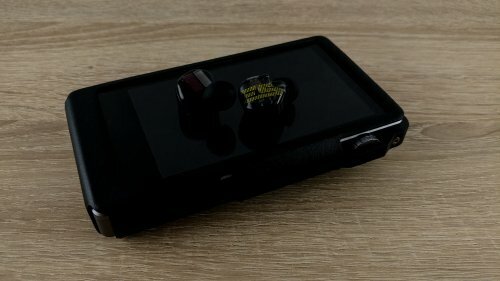 One of the other DAC/amps I tried combined with the iPhone ES was FiiO's Q1, to try the bass boost, and that was a really nice combo for when I wanted a bit more thump. This is the one area where I'd imagine that occasionally people who love the ES3's overall tonality may probably want to slightly adjust the mid-bass response. For this – because all I wanted was a gradual rise in the mid-bass, I first used the tone controls on the E17K. I dialled in +4 bass and went back to some of my test tracks. It was good – but the E17K had also lifted the sub-bass further. So I switched to the iPhone ES and using the Equaliser app I applied a gentle mid-bass hump centered between 200-500 hz. For me personally it created a much more natural overall sound – but I also have to admit that being able to rapidly switch between the default iOS music app and the Equaliser app rapidly, and I can fully appreciate how good the original tuning is as well. In fact the more I switched, and the more I got used to the default signature – the more I was growing to appreciate it. Linear, yes – natural, no – enjoyable, definitely. All of these comparisons are very subjective – and influenced by my own preference, physiology and bias. Comparison was once again with the X3ii + E17K, and the ES3 had the Shure Olive tips and no EQ was used. All IEMs were volume matched with a 1 kHz tone and using a proper SPL meter. Build and accessories go to the diminutive q-Jays – with their aluminium alloy build, and excellent carry case. But for all that, the ES3 build and accessory package is also excellent. 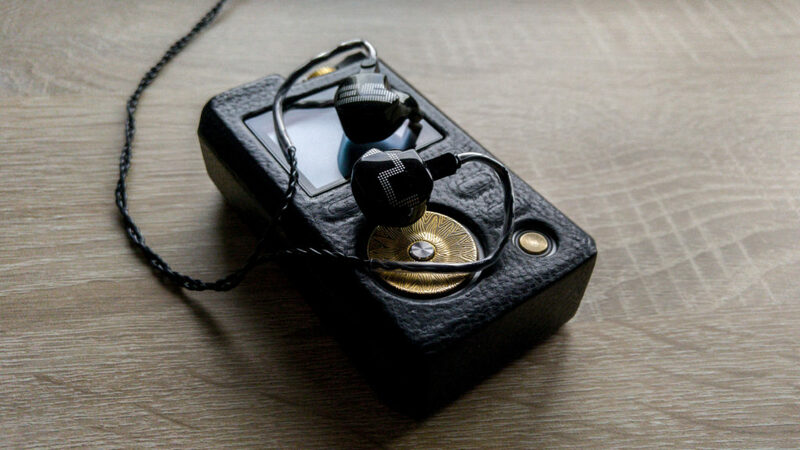 Comfort could go either way – the q-Jays are so tiny they just disappear – but the last few weeks have shown me that the ES3 is also one of the most comfortable I've tried. Isolation is similar – the q-Jays does allow you to go deeper with insertion though. Both cables are replaceable and good quality, but I do prefer the 2-pin system of the ES3 though. Sonically the two are very close with similar signatures. The q-Jays sound a little more natural and a little smoother overall. They don't have the low bass impact of the ES3, but do have a little more body and warmth through the mid-bass and lower mid-range. The ES3 is a little colder and cleaner. This is a tough one – because I love the q-Jays signature – have done since I bought them. Ultimately my preference would be for the cheaper q-Jays here – but would imagine that many would prefer the ES3. It all comes down to minor changes in presentation. Both are triple drivers, but where the ES3 is totally BA, the 2000J is a hybrid. Build quality is very good on both, but the ES3 eases ahead with its replaceable cables. Accessories go to the 2000J (Dunu always seem to put together an amazing package), but the ES3 is very much superior on fit and comfort. ES3 also takes the lead with isolation. This time the ES3 is up against a quad hybrid which I reviewed earlier this year. Build quality is good on both – the DUNU has better materials, but poorer design (fit and comfort). The ES3 definitely takes the honours on fit, comfort – and also isolation. Cable quality is very good on both, and both are replaceable. Sonically we're seeing a similar thing. Both are relatively linear with a rise into upper mid-range, peaks in lower treble (DN2002 is at the more benign 9kHz mark). The differences are again in the sub-bass and mid-bass. ES3 is stronger in sub, and leaner in the mid-bass. The main difference again is that the 2002 appears thicker, and smoother – where the ES3 is leaner, drier, but also cleaner. Although I do like the 2002, this is one of those occasions where the ES3 signature just gels a little more overall – and combined with the superior comfort, takes the nod for me personally. Now the ES3 is up against another triple BA which I reviewed recently. 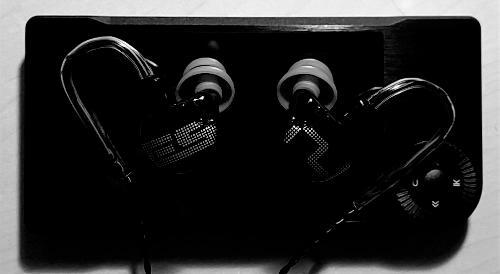 The Pai Audio MR3 is in a different price bracket – but I was impressed with its performance within that price bracket when I reviewed it earlier. This time the ES3 is clear winner for build quality and accessories (as you would expect), and the cable is definitely superior on the Earsonics unit as well. Comfort, fit and isolation is excellent on both. Sonically the two are similar but again there is the difference in sub-bass vs mid-bass, but also this time the MR3 has even more emphasis in upper mids and lower treble. They both share a peak at 7kHz, but where the ES3's is etched, the MR3 just takes it a little too far. If I had my wish, I'd love to hear a combination of the MR3's signature below 1 kHz with the ES3's signature above 1 kHz. Overall preference for me is the ES3 – BUT, if you are prepared to EQ the upper end of the MR3's signature back by 3-4 dB you go get one heck of a triple driver for an unbelievably good price. This is the one I didn't expect. Before Max sent me both, I'd read a couple of impressions from different reviewers, and the consensus had been that the ES2 was a lot darker, warmer, and the ES3 was clearly superior. And even when both pairs arrived, I spent the first two weeks with the ES3, and didn't even open the ES2 until I had the ES3's signature pretty much dialled in. I wasn't expecting the reaction I had. But lets clear the other attributes first. In terms of overall package, they are identical – build, fit etc. Internally there are the obvious 2 vs 3 drivers, but they share the internal diffractive acoustic chamber. Sonically the ES2 has a traditional mid-bass hump (including reasonable sub-bass extension), but doesn't have the sub-bass bump, or the extension at 7 kHz (down by about 4-5 dB at this frequency). It does have slightly more presence at 2 kHz – so at first listen it definitely appears to have smaller overall staging, and of course it is warmer and doesn't have the apparent resolution/detail of its higher spec'd sibling. But when you really critically listen, you realise the resolution is all there – it's just not highlighted to the same extent. The ES2 is smoother, warmer, and definitely not as bright. But its also a lot more natural sounding while still delivering a great deal of detail. And while it may be less linear compared to the ES3 – I'd argue that the ES2 is more balanced. As you can probably guess – I have a definite preference here. The ES3 is a great triple BA earphone – but I think the true star in this family is ultimately the ES2 (for my preferences anyway). Anyone reading through the review so far could be excused thinking that at the $399 level the ES3 is good but has been eclipsed by similar IEMs at a lower price range – but nothing could be further from the truth. The ES3 has a very good build, wonderful fit/comfort, and excellent isolation. It also has a very good accessory package including a case which I personally find ideal for day to day use. The cable is really good also, and being standard two pin, is ideal for those who do use after-market cables. Sonically the ES3 has a rather unique signature which is essentially very linear/flat from around 200 Hz through to 1 kHz, but with a bump in the sub-bass and in the upper mids and lower treble. Extension is great at both ends of the spectrum, and the level of detail and clarity is very good. That comes at a little cost though. While the ES3 could be classified as being both linear, and fairly neutral through most of the spectrum, the missing (and more natural) mid-bass bump does mean the overall signature tends to be on the lean and dry side – and there is a cooler than warmer tonality overall. 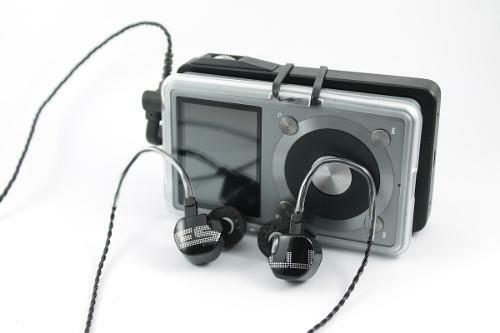 The ES3 is a great IEM though with a lot of good going for it, and for low volume listening it is brilliant (I love it for late at night). Personally I'd prefer a little more mid-bass, but that is simply my own preference at play – and I can hardly mark Earsonics down for it. Overall – given the complete package, its an easy 4 star recommendation. A little on the pricey side – but in this case you do get what you are paying for. My thanks once again to Max for the chance to be able to review the ES3. Womaz, SeeSax, Raketen and 8 others like this. Yep typo - thanks. Fixed. I definitely wouldn't call it a warm earphone. The coolness comes from the upper mid-range and lower treble emphasis in combination with the very linear mid-bass. 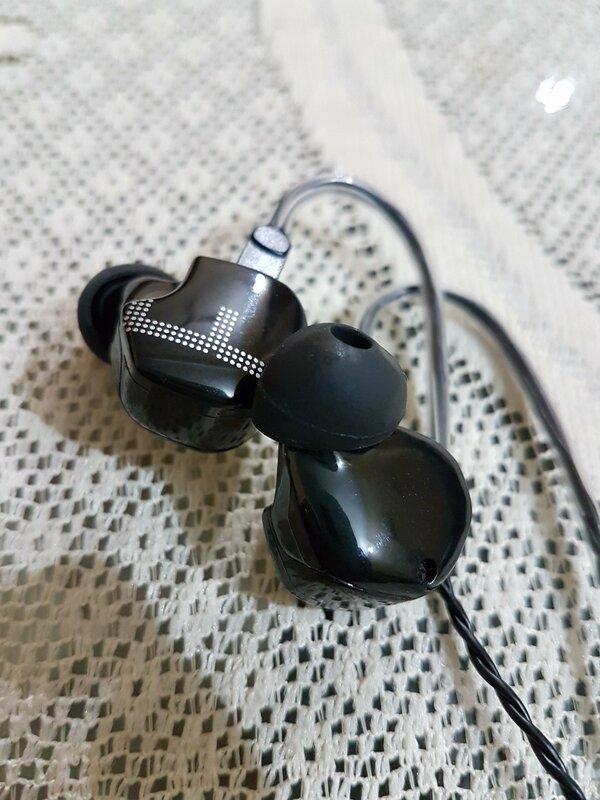 The result (when compared to many other earphones I own or have experience with) is a somewhat clean, lean and cool sound. It's not warm but neutral with a musical sound signature, I'd say it's very slightly on the warm side due to sub-bass boost. But yes, it's not warm in the sense that it doesn't have boosted mid-bass and lower treble. I guess we'll have to differ in the way we hear them. And to me - while they may have boosted sub-bass - they are not even close to warm. At least not compared to the many earphones I have experience with. And whilst I agree with the comment that they are relatively neutral (as in flat) - most earphones I would describe as "musical" also exhibit a natural tonality (ie a slight mid-bass hump). To me the ES2 is the far more natural sounding and musical IEM of the two. I guess I'll look forward to your review and your own take on them. My observations are definitely backed up by the measured frequency response. Pros - Musical, smooth, detailed.. The review was originally posted on quantumears but I wanted to share it with Head-Fi as well. 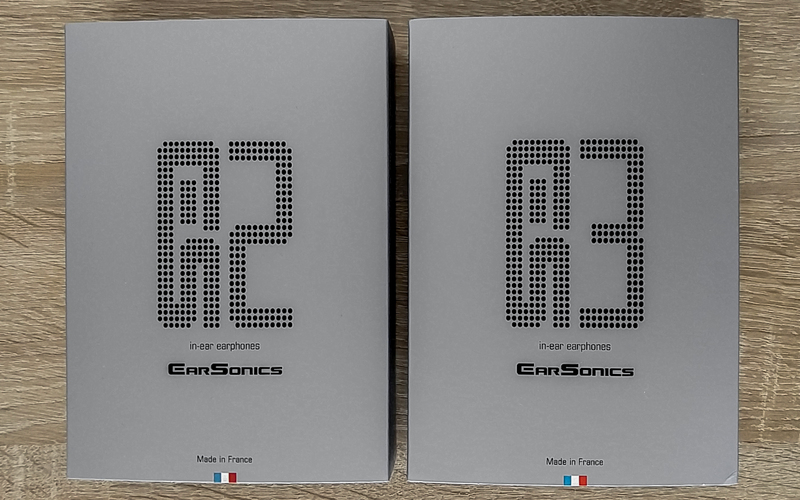 Earsonics is a boutique audio equipment company located in Castries, France. 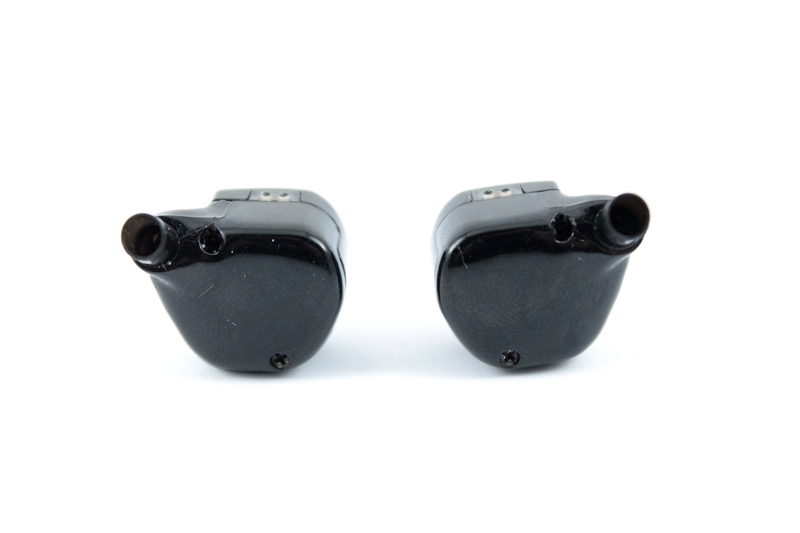 They specialize in custom in-ears and hearing protection equipments. Earsonics is a well known company around the world and they are in business for quite a long time. 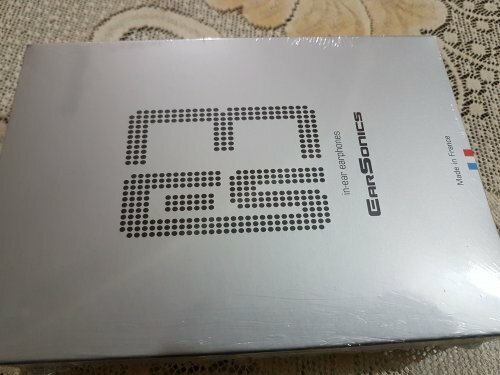 I first encountered with Earsonics when I purchased SM3 in 2011. God it was so good… I immediately put them on my radar. I’ve been hooked ever since. Earsonics is an eccentric company. They have a vision. They are prioritizing personal enjoyment over the classic hi-fi norms in their earphone tunings. Their aim is a musical, smooth but detailed sound. New ES lineup is a product of this exact idea. Crafted with this vision in mind. 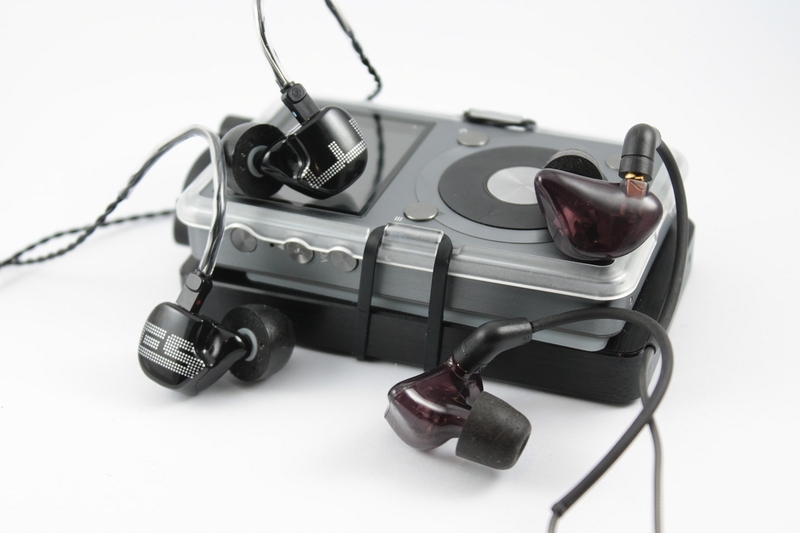 In every october, Earsonics introduces a new lineup of earphones. This year, they surprised the market by choosing mid-tier their target range, which is quite extraordinary considering the dramatic price increase of the In-Ear market that causes serious financial trouble to the end user. 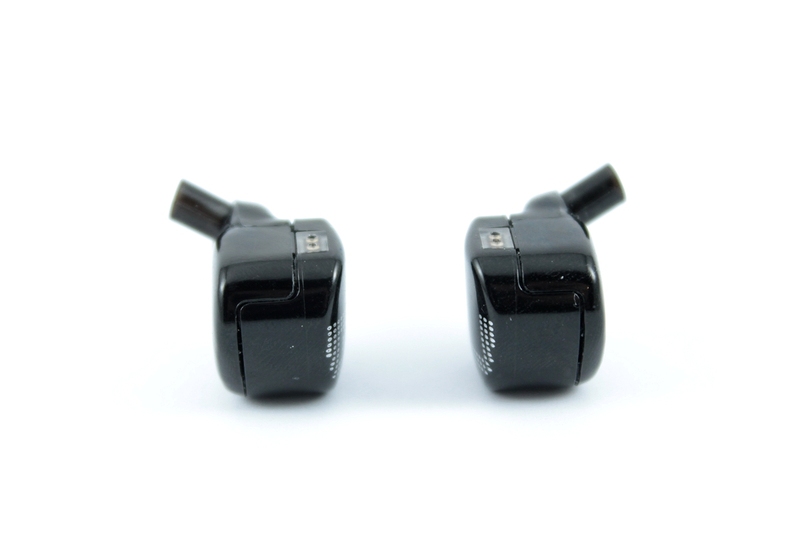 Driver: 2 drivers, 2 way crossover with impedance corrector. Driver: 3 drivers, 3 way crossover with impedance corrector. We have used quite a few gear to unleash their full potential. 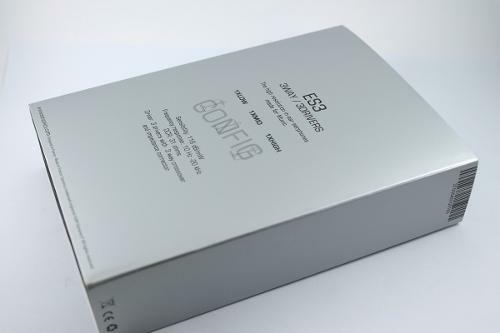 The new ES serie comes with an elegant, grey box. Both of the new lineup models are equipped with the same type of housing that had been used by Velvets. The housing is made of reinforced plastic. It’s a 2 sound bore design with a diffractive acoustic chamber. Fit is seamlessly good. You can even lie down with them without any problems. Earphones themselves are quite lightweight and low profile. They look fashionable too! When used with thin cables like Linums, you literally forget about them being in your ear after a short time. Shall we start with ES-2? The younger brother has a non-fatiguing, smooth sound signature with an enhanced low end and laid back treble. ES-3 on the other hand, reminds me of S-EM9 a lot, smooth but detailed presentation, good instrument separation, tight bass.. Meaty mids.. I can easily state that ES-3 is a lot more balanced than ES-2. It has more upper mid spark and treble extension. It feels a lot airier and energetic. In terms of technicality ES-3 is more resolving and refined than ES-2. It feels more coherent as well. Bass of ES-2 is powerful, thick. Not boomy, not excessive. Given enough power, ES-2 mimics the characteristics of a dynamic driver. Airy, broad, punchy. There aren’t absurd amounts of bass that come out of nowhere. On the contrary, deep and tremendous bass only comes into play when the recording calls for it. It does not feel like it’s elevated or overly saturated. Timbre is just right. Even the micro details of sub-bass, like vibrations of the strings just before the tonal resonance, is presented delicately. I especially enjoyed listening to string and percussion instruments with the ES-2. ES-3’s bass however, is more linear compared to ES-2. It is fast, neat, whacky. When listening to fast paced songs e.g. megadeth, dragonforce etc. bass impact stands strong and keeps up with the rest of the spectrum. It surprised me a lot to hear a bass so clean and textured in this price range. I remember the first time putting them on, the very first thing that popped in my mind was “these do not sound like they are 400€ at all!” Earphone itself can easily be compared with such high priced sets like SE846, IE800, ES Velvet, bass-wise. Mid bass and Sub bass are both very well tuned and offers a great balance. I also wanted to see how the ES-3 pairs up with cables like Linum BaX and Linum Music. After an extensive testing session with BaX, it is safe to say that the sub-bass quantity increases significantly with Linum BaX. ES-2’s mid region is warm, welcoming and full. It gives you the feeling of a crackling fireplace in a cold rainy day. ES-2 is an emotional presenter but it does not push the vocals into your face like the Westone um30. You do not lose the sense of airiness when you are listening to a romantic acoustic track with a velvety woman vocal. Long story short, the mids are meaty, lush and full. I really like ES-2’s acoustic reproduction. It’s somewhat creamy and tranquilizing. ES-2 is on the darker side of the force. Highs are more recessed than the rest of the spectrum, but they definitely do not lack in detail and coherency. They are not prominent, they are not harsh or edgy. ES-2 is a great option if you like your eardrum where it already is. Joking aside, ES-2 has a way of throwing you hi-hats, snares, crashes like they’re literally smoothest instruments in the world. I actually love that a lot. I can literally throw any cymbalfest Dragonforce or Behemoth song at ES-2 and it just finds a way to smoothen all up and somehow rejuvenate your soul …while listening to metal. Yeah. After some smooth afternoons together, you may want to pull the little guy into the interrogation chamber and ask it whether it is a natural sounding monitor or not. Well I have bad news for you. It is most probably not. Comparatively, ES-3’s high frequencies are smooth but still carry great level of detail. They have good extension and resolution. Just like the upper mids, they are completely lenient. They are definitely not harsh or edgy in any way. Additionally highs never dwarf the mids, they have great control and this gives ES-3 a more coherent presentation across the spectrum. Despite its powerful low end, rolled off upper-mid and polite highs, ES-2 offers quite a good headroom. Layering and stage depth is excellent for this price range. Imaging is good, reminds me of SM64. PRaT-wise, it is a relatively fast monitor, it can keep up with the majority of the tracks I threw at it, but there are still few that it couldn’t and gave up to congestion. ES3 offers a spacious presentation which feels even greater when combined with a good player like Lotoo PG. Instrument separation is somewhat source dependant and it can be quite impressive if the source you’re using is well-matched with ES-3. PRaT and speed is something that Earsonics fans got used to and this remains unchanged with ES-3 as well. It is fast, dynamic and articulate. Both imaging and layering are also excellent and very well defined. Staging is airy and spacious. ES-3 handles congestion very well and I am quite fascinated by this to be honest. To understand it better, please proceed to the comparison section down below. Velvet’s notes are lighter, less meaty. Velvet feels airier and it’s more spacious. Velvet’s bass extends better and it has more bass than ES-3 in general. Margin is not big, if you like Velvet’s bass presentation, but if you want a more balanced signature, go for ES-3. If you want more bass and less treble fatigue, go for ES-2. Resolution-wise, ES-3 is almost on par with tight Velvet which is quite good. ES-2 falls behind a bit in this regard. Think of S-EM9 as the homo sapiens and ES-3 as the homo erectus. S-EM9 is the evolved and upgraded version of ES-3. Almost same signature, a lot more resolution, better EVERYTHING. 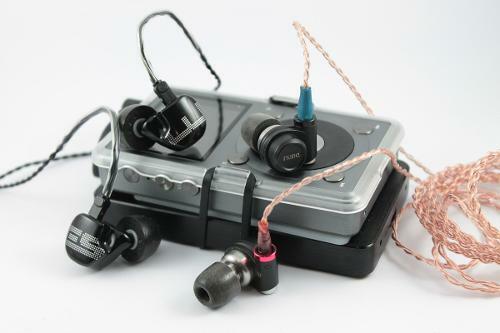 If you love Earsonics products like I do, you should definitely give this speedster a chance. Its review is in the works too! K10’s upper mids are wilder than those of ES-2 & 3. Control degrades when combined with high volumes. Resolution-wise K10 is better and more refined. K10’s vocal presentation is more successful and feels more natural. Its bass also goes deeper and have more whack effect. ES-3’s stage is more spacious compared to the Noble. Oriolus’ strong suit is its natural presentation. I am afraid that many of the in-ears to this date will fall short in this regard. Nonetheless, ES-3 is faster and it’s timbre is not unnatural compared to Oriolus. For an IEM priced so modestly, it is a great accomplishment if you ask me. ES-2 has more bass than SD-2 and ES-3.ES-3’s vocal presentation is nearly identical but SD-2 has A LOT more upper mid spark than ES-2. ES-3’s stage is wider. Both of the ES twins have more exciting tuning than the SD-2. ES-2’s soft, smooth and lush sound signature should be considered very unique. Especially it can be an excellent companion if you enjoy acoustic music. Its percussion and string instrument presentation is very satisfying. 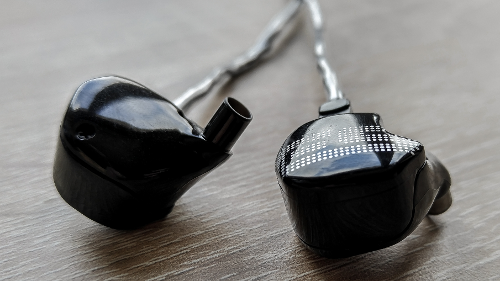 ES-2 is a unrivalled earphone for treble sensitive audiophiles. Plus considering it’s price, it is a quite good in-ear if you like meaty mids, recessed treble and abundant bass presence. ES-3’s smooth but also detailed sound at this resolution and separation should be considered quite extraordinary, especially at this price point. Even with the TOTL monitors, you might not get the PRaT and dynamism of the ES-3.. It can easily keep up with the fastest songs that we could find. Congestion is entirely out of the picture. To sum it up, ES-3’s 3d imaging, transparency, coherence, and capability are all excellent for the asking price. We really recommend these gems to all Earsonics house sound fans out there! Eylrik, Womaz, Raketen and 4 others like this. thank you for the detailed review my good sir. may i know which of the two did you like the most? @pinoyman ES-3 represents the Earsonics house sound more accurately, I'd say ES-3 too. I like the balanced, smooth signature..